Wang Xiaofei was spit out, his son hurts his daughter, and his son was ridiculed: I don't deserve a name? Everyone said that my daughter is the lover of my father's life, so I have become a little cotton jacket to accompany him in this life. Many dads do have a special favor for their daughters. What do they want, sometimes even more than their wives, Some mothers can't help but jealous with their daughter. Not only ordinary people like to pamper their daughter into a princess, but even the big stars are especially caring for the little princesses, such as Wang Xiaofei, who is known as the pet madman. 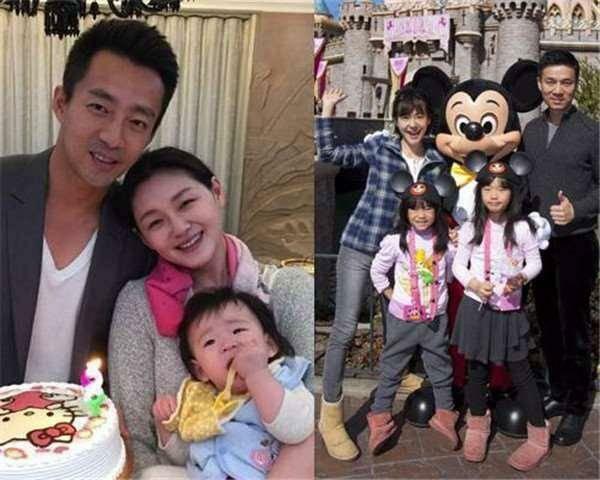 Recently, Wang Xiaofei issued a group of family photos and issued a text to express his wife and daughter. The full text does not mention the younger son. 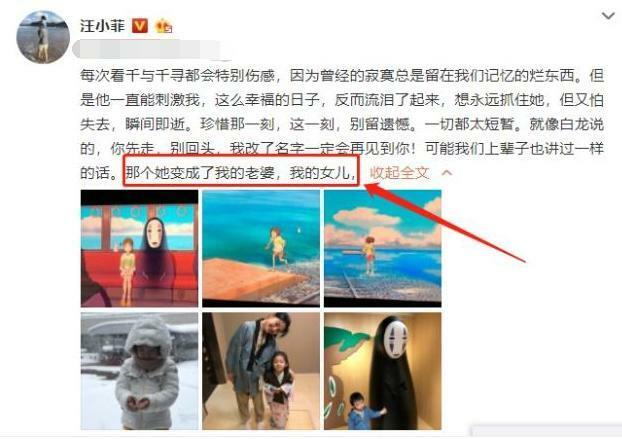 Netizens can't stand it anymore, and Wang Xiaofei's son is ridiculous: I don't deserve a name? It is also a smile. Wang Xiaofei naturally felt his wife. . Last year, the couple also went on a variety show together. In the program, they have been sprinkling dog food. 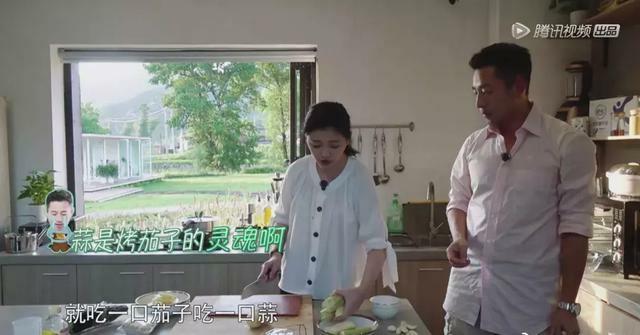 The young couple naturally get along with each other, so that everyone looks particularly envious, and unlike other families, Wang Xiaofei is cooking as a husband. The one who has the most, the wife is not a joke, the big S just want to enjoy it silently, the child's chores are for the husband to worry about. 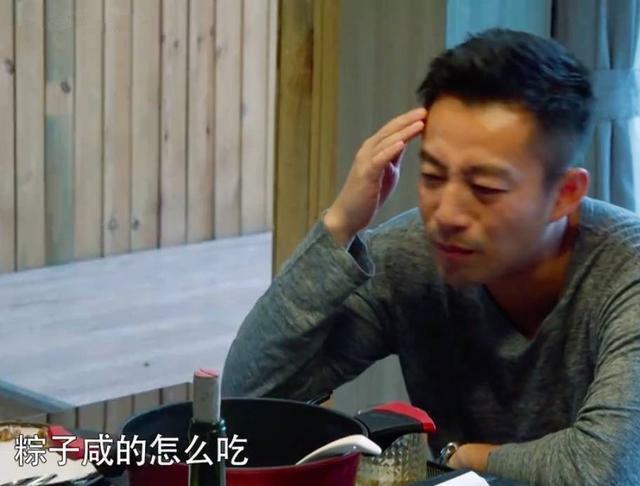 Wang Xiaofei said on Weibo that he was very happy to go out with his family, but he couldn’t help but cry, and he mentioned his wife and daughter very romantically, but he seemed to have completely forgotten his little son. Not mentioned, only the last photo of the son was released. The poor little son stood alone and looked a little lonely. The nature in the middle is the most favored big S and little nephew, both mother and daughter are wearing Japanese traditional kimono. Xiaoer's clothes look very exquisite and beautiful, and my mother's clothes are relatively simple. Not surprisingly, Wang Xiaofei, a straight man, made the mother and daughter a dwarf. Edited by SHANCAI_XUXIYUAN, 27 January 2019 - 06:56 AM. At a press conference on January 16, Xiao S said that he often has no self-confidence, so he still wants to quit the entertainment circle with her sister, but she wants to see that the audience still likes to fight more and more. Earn some. It can be seen that the words of the small s are still very consistent with her usual style of talking and doing things. In general, the development of the two sisters is still very smooth. There is no such thing as the development of some artists. The development of the career is not smooth, but the small s now said that he is often not confident, so he wants to quit the entertainment circle with the big s, maybe Behind this is the pressure that others don't know. However, the small s also bluntly said that it is not reconciled to withdraw from the present. After all, the age of the small s is not too big. As a host, the career of the small s still has to go for many years, so it may have passed this stage. Small s will not say anything to withdraw from the entertainment industry. However, the big s is actually rarely appearing in the entertainment industry. 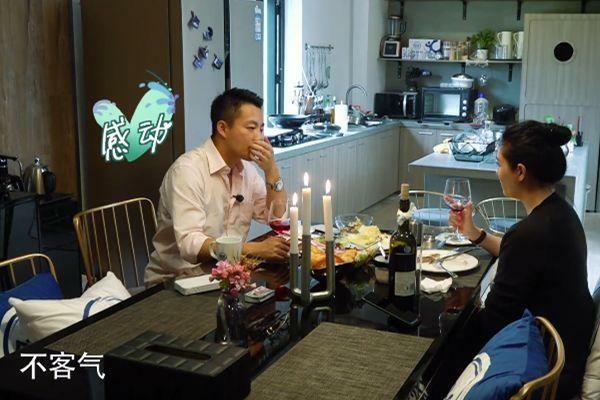 It is only in the individual variety shows that you can see the daily show of the big s and the husband Wang Xiaofei. It shows that the big s is now a kind of semi-hidden. The state of retreat, although it is a sister, but the character of the two people is completely different, the older sister s is relatively quieter, the small s is a more active type. 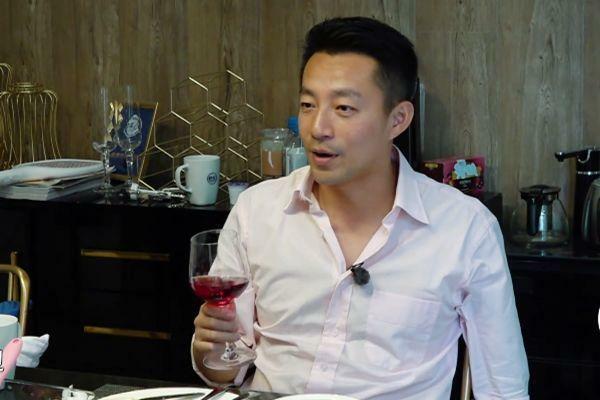 Fei Yuqing said that he would withdraw from the entertainment circle after the 2019 tour. Pan Weibo also said that he wanted to retire. On the second line, it can be seen that this time, the small s also revealed his heart. Edited by SHANCAI_XUXIYUAN, 04 February 2019 - 06:33 AM. Edited by SHANCAI_XUXIYUAN, 27 January 2019 - 06:48 AM. 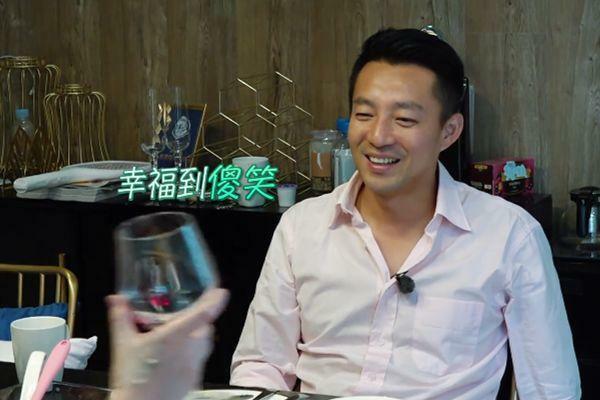 In the presiding world, Xiao S Xu Xiyi has a place in his own unique style of hosting and dare to ask, and no one can imitate. In the entertainment industry, there are very few hosted wizards like Xiao S, and her personality is a big wave for her. 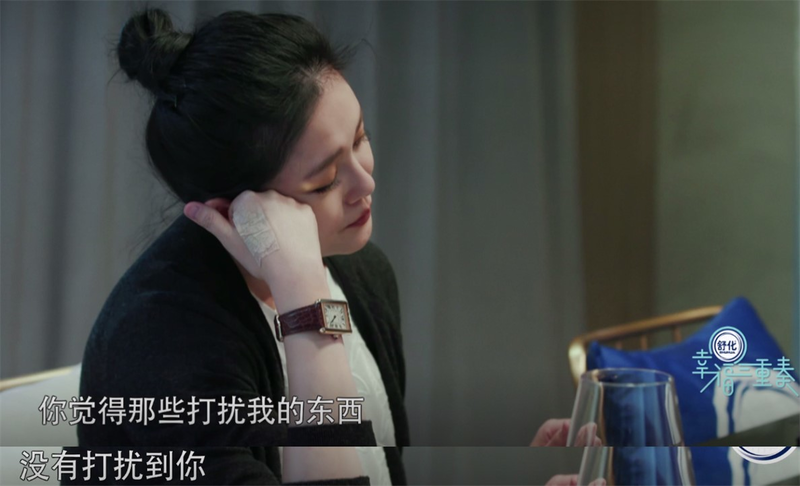 The older sister S Xu Xiyuan was enshrined in the youthful and beautiful temperament of the "Idol drama goddess", and because she had deep research on the beauty secrets, she was awarded the "Beauty King". The two sisters worked hard for their respective careers in the entertainment circle. Today, both sisters have I have a family and live happily. 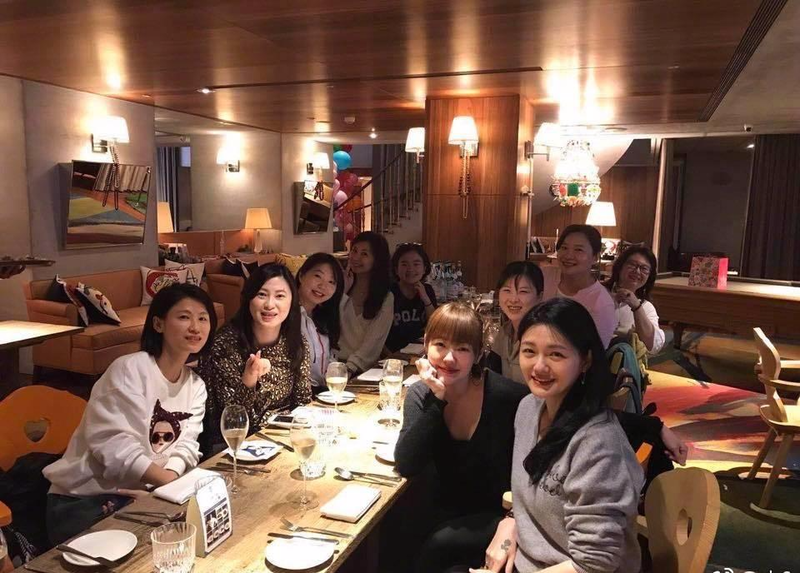 On January 11th, Xiao S took a group photo of the class reunion on his personal social account, and matched the text: After 22 years, I was moved by the students from all over the world to recall our absurdity and youth. The true feelings between words are very moving. From the photos taken from the small S, the big S and the small S are all present, and the drinking party with the youth of the youth, the big S is out of the mirror, the skin is super good, the small S is left with Qi Liu, the temperament is not like the ghost horse when hosting The elves, on the other hand, revealed that the silk was gentle, it seems that the chat between the classmates is very happy, and the size S has not changed for so many years, the value is still online, and still likes to party. Finally, everyone takes photos of the whole scene. No matter where you are and where you are, when you get together with friends when you are young, you can always forget your sorrow and talk about the past. In the photo, everyone laughs at the camera, compared to the scissors. Hands, big S and small S stand in the middle of the crowd, still beautiful, this party, everyone seems to play very happy, it is rare to relax themselves, everyone can say that it is very fun! Edited by SHANCAI_XUXIYUAN, 04 February 2019 - 06:35 AM. The S-Sisters’ life has been very rich recently. The variety show in the Mainland is in full swing. 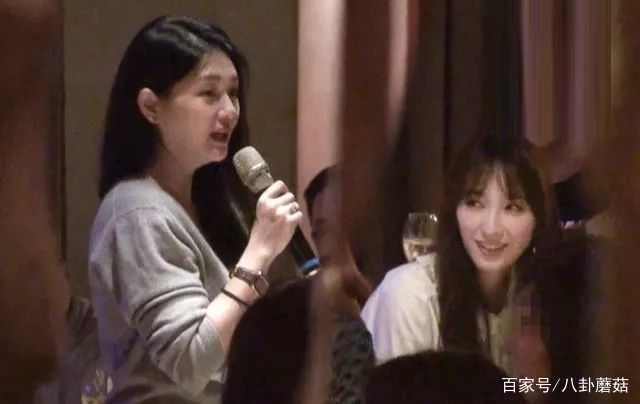 Recently, the S sisters of the size S returned to their hometown of Taiwan Province, and invited the old classmates who were also high school students to hold the Huagang Art School High School Alumni Association. 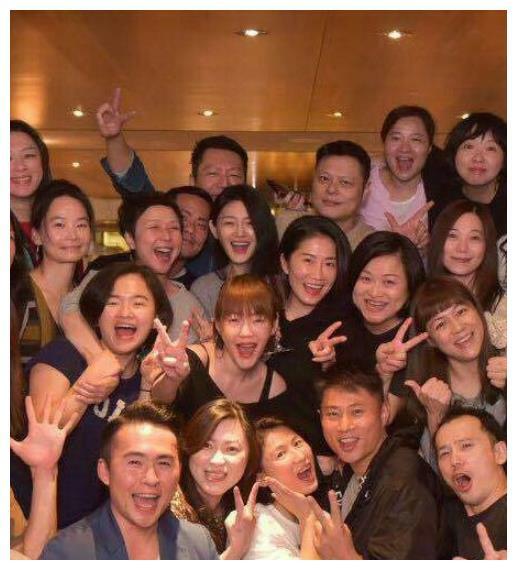 About 40 old classmates came to the scene, and even the sisters of the settled Hong Kong, Wu Pei-ci, also came back specially to give a full-size S face, and the party was warm and lively. The organizer of the party is Big S, and now it is the big S of the hotel owner. This time, it is a generous contribution. I chose to hold this party at my own hotel. I can see the Huagang art on the screen when I enter the door. The school is kanban, and the site is also covered with decorative arches such as balloons. The layout is very hard. I saw that from time to time, some students took turns to stand up and talk about their own developments in the past years. The emotional situation was even more tearful. There was a burst of encouragement and cheering from the audience. The student’s time was the focus of the big S, and now it is still a classmate. The fascination in the middle. When it was her turn to speak at Big S, she said that she was married. 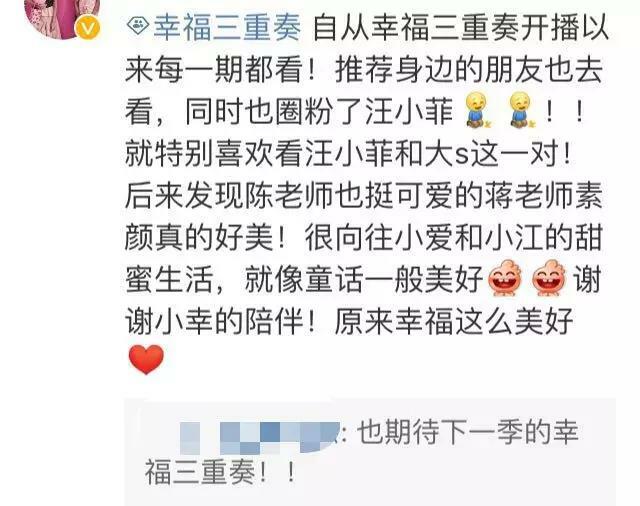 She added a Beijinger (Wang Xiaofei) and gave birth to a daughter, because her mother said that she married a good husband and told her to be a good convenor. To make the classmates good, then the big S also did the landlord's friendship, got up and the students toasted, and everyone was eating and talking, the atmosphere was very pleasant. 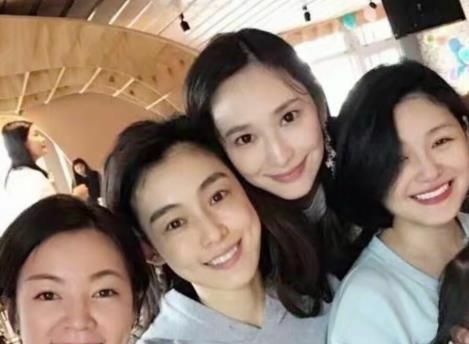 Surprisingly, in the past few years, Wu Peici, who has broken down the relationship with the S sisters, has also airborne classmates that night. She is a model when she was a student. She is still very frozen at the age of 40, and now she has faded out of the entertainment industry and become a prospective grandmother. She, the low-key crowd of people drinking champagne, delicate gestures like a lady. Not long ago, because of the edema, the big S, which has been ridiculed, has now fully recovered. The slimming S is comparable to the two-year-old Wu Peici. The two girls with long hair are full of breath and have their own advantages. The value of the value is comparable. When the party was coming to an end, Xiao S also deliberately stood up and spoke. He asked the classmates who were driving but had alcohol. If not, she would go to the bathroom, and the whole classmates laughed. 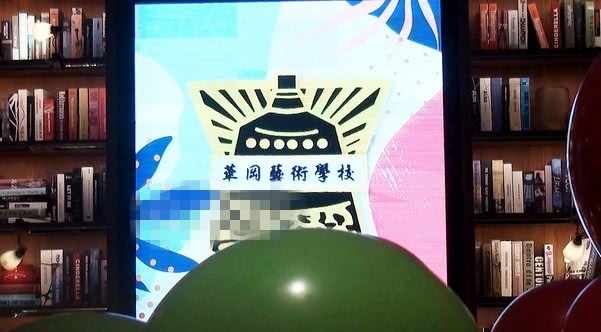 After the party, the size S also had a photo of the class reunion on the social networking site. The emotional message was separated from the classmates for 22 years. The students were moved back from all over the world to participate. Unfortunately, the netizens did not see it in the photo. Aya, who is the same as the Seven Fairies, has a message to miss. Edited by SHANCAI_XUXIYUAN, 27 January 2019 - 08:55 AM. On January 11th, Da S held the “Huagang Art School High School Alumni Association” in Wang Xiaofei's hotel, and met with a group of old classmates. Wu Peici, who moved to Hong Kong, was also present. You can see the words "Huagang Art School" on the spot! According to the report, the students took the microphone to stand up and post the high school fun and the recent situation after graduation. Some people are more excited. The audience has been shouting "Don't cry... Don't cry", it can be seen that this classmate will be very successful. It was the turn of the big S to speak. She said humorously: "This activity was initiated by me because my mother said that I married a good husband and must be a good convenor." Her speech won the applause of the classmates. 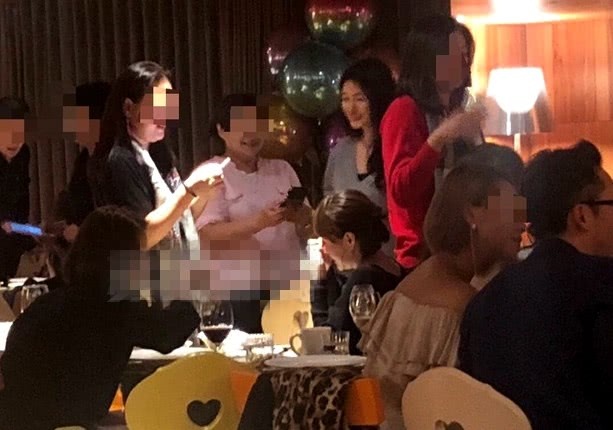 Size S attended the class meeting, but the media only photographed the back of the small S.
Previously, when Wu Peici passed her 40th birthday, she did not invite the size S. Instead, she opened a birthday party with a group of ladies in Hong Kong. At that time, some netizens left a message asking her if she had turned over with her former sisters. 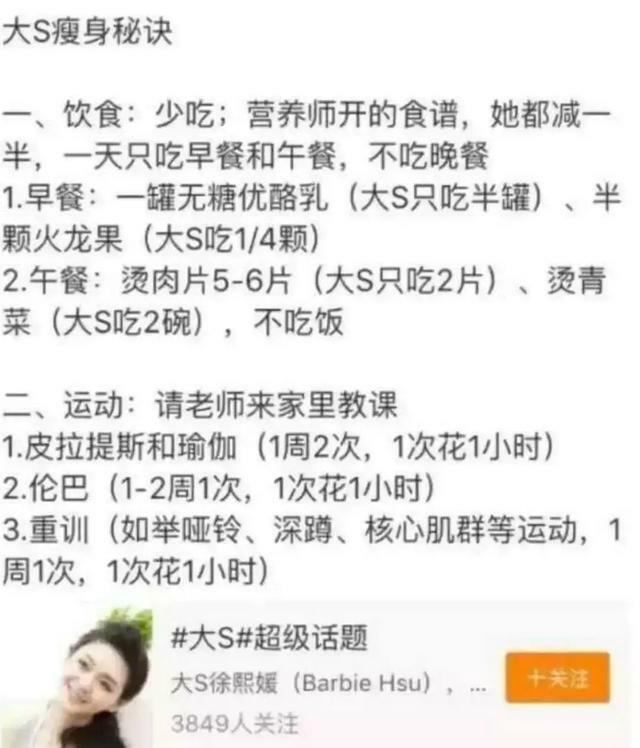 Wu Peici responded to netizens saying that her relationship with size S has not changed, she chats every day, they have a sister Amoy group, just because she lived in Hong Kong, rarely with the size S frame, I hope that users do not misunderstand. 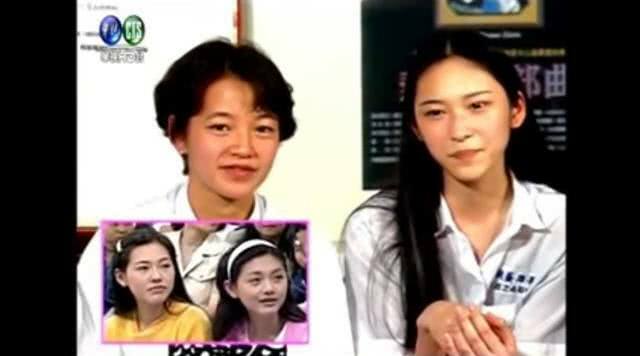 Some netizens have publicly published photos of the "Huagang" sisters in high school. At that time, the size S had already debuted. Aya and Wu Peici went to the program together as classmates. The four people looked very handsome, and compared with the present, there was little change. From this class reunion, Wu Peici's friendship with the size S has not changed, it is still so close. Edited by SHANCAI_XUXIYUAN, 04 February 2019 - 06:39 AM. 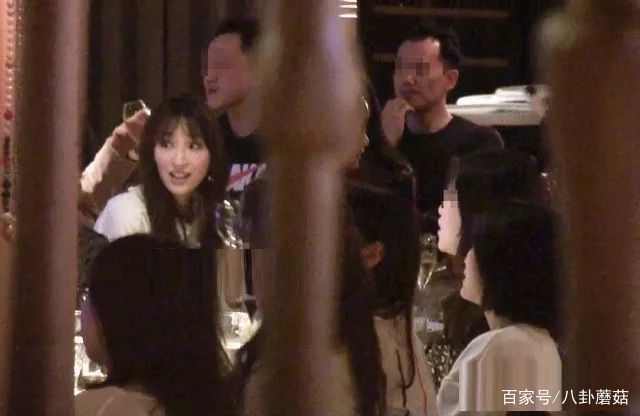 On the evening of January 11, some Hong Kong media released photos saying that Big S held a class meeting in her husband's S hotel and invited her former high school students to contact us. Perhaps because of the presence of the old classmates, the big S was very casual, wearing a gray T-shirt and long hair casually on his shoulders. 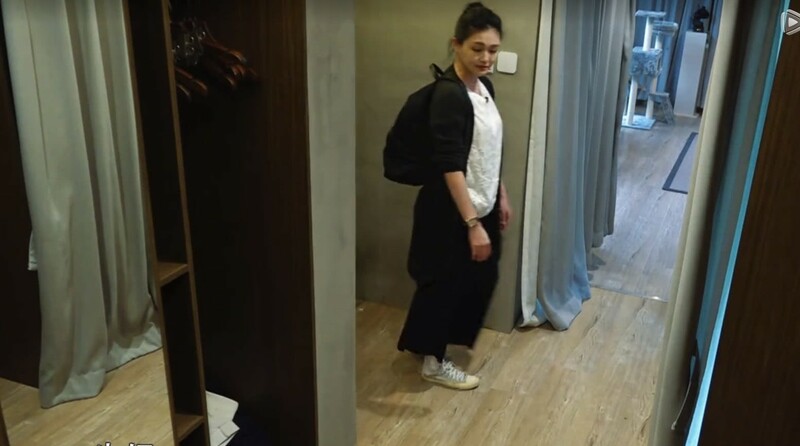 Although wearing a simple dress, but the recent successful weight loss S looks very confident, has been holding a topic to talk to the students. According to Big S, the reason why she held this class meeting was because her mother told her: "You married a good husband, so you should be a good convenor." Although the big S is just a slap, but no It can be denied that Big S really married a good husband and became the object of envy. Not only are they the hotel where the classmates meet, it is the S hotel named after Wang Xiaofei named after the big S. And Wang Xiaofei and his wife are always showing up, they are all very loving. Some time ago, the big S, which had not yet completely lost weight, was ridiculed because of his presence at the event. 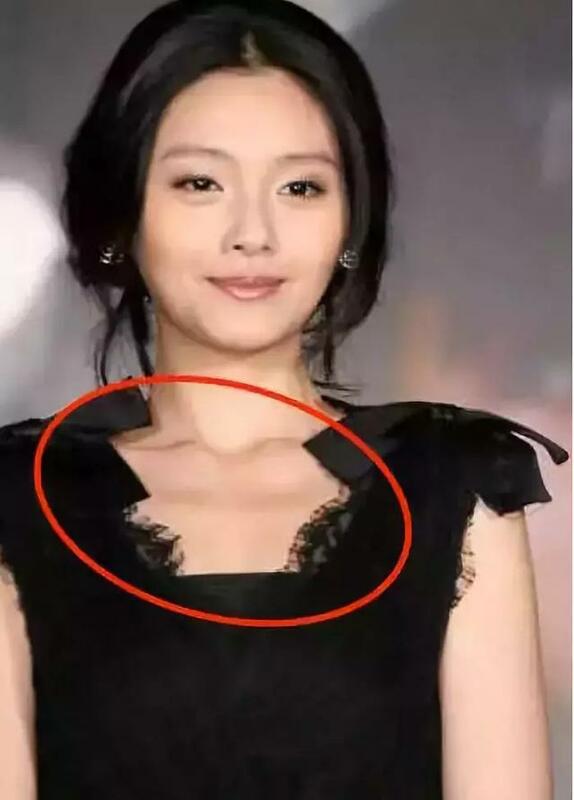 After learning about this, Wang Xiaofei issued two dynamics in the middle of the night to cheer for his wife. And said that Big S is the most beautiful wife and the most beautiful mother in his heart. 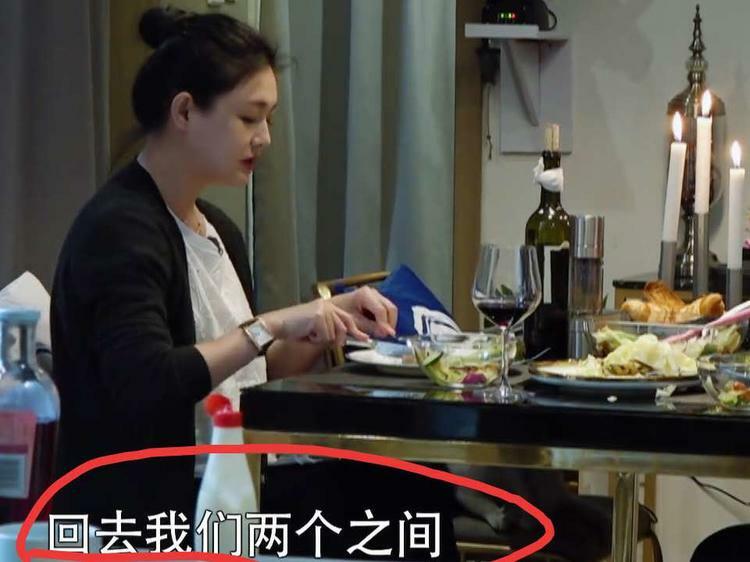 After seeing Wang Xiaofei's wife in the middle of the night, even the fans couldn't help but ridicule. Wang Xiaofei was a wife and a madman. The big S was really married. It is worth noting that in this class reunion, there is also a familiar figure, that is, Wu Peici. Since Wu Pei-ci and Qian Xiaobo, they have moved from Taipei to Hong Kong, and rarely meet the sisters of Big S and Little S. Because the sisters have not seen each other for a long time, Wu Peici has also been reported to be inconsistent with the big S. It was not until this time that Wu Peici made a special trip from Hong Kong to Taipei to attend class reunion, which was a rumor that broke sisters’ dissatisfaction. However, it is worth noting that Wu Peici and Da S are both married to the giants. It seems that the gap is very large. In the whole class meeting, the big S kept an active atmosphere. I interacted with my sister S, as if I had returned to the day when the two sisters were the host. Compared with the active big S, Wu Peici is still like high school, and does not like to talk or love expression. Just sitting quietly in the position, watching Big S and Little S make everyone happy. It is reported that because I haven't seen each other for many years, it is inevitable that the students will talk about the interesting things. When it comes to the emotional situation, there are people in the audience who have been crying not to cry, don't cry, and the atmosphere is quite harmonious. Edited by SHANCAI_XUXIYUAN, 27 January 2019 - 09:12 AM. On the evening of January 11, Taiwanese netizens met in the hotel of Wang Xiaofei, the big S who was running the Huagang Art School High School Alumni Association. The big S Ufa snow skin wearing a gray long-sleeved shirt is much slimmer than when it was recorded in the reality show. In the face of the former classmates, the big S was in a good mood. The reason for the self-exposure of the classmates was because they had married a good husband, so they had to be a good convener. It’s just a matter of boasting. By the way, Wang Xiaofei also praised it. The big S show love is completely irrespective of time and occasion... This bowl of dog food, the students first pay respect. 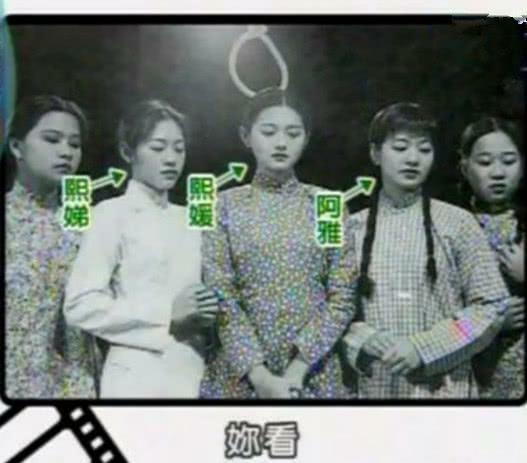 At the beginning of Fan Yiqi's return to the "Kangxi came", Xiao S had squandered Wu Pei's small group outside the sister group, which led to the news of the sister's loss. 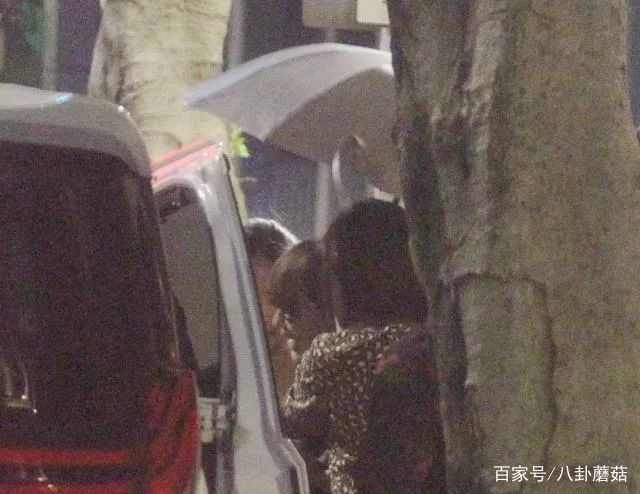 After the small S's sharp spit, the beggars around Wu Peici could be seen with a full eye, and it seems that they are gradually drifting away from Taiwanese sisters. The rumors and the rumors have also intensified. It seems that this friendship from the student era is not as fragile as the outside world imagined. Because the small S is also at the class meeting, blushing and holding the microphone and screaming, I have a good time at a glance, where is the half-hearted look? It is a happy event for classmates and sisters to reunite nature. Can break the rumors, it is even more icing on the cake. When it comes to the estrus, the sensitive big S can't help but shed tears. A group of students sit down and shout "Don't cry, don't cry..." The scene is very moving. After completing the "speech" with great enthusiasm, Big S gave a toast to the students. She could see her laughing very happy in the big picture of the far shot. According to the news of the Taiwan media, more than 40 people attended the class meeting of the Big S organization on that day, and the ranking was relatively large. During the Huagang Art School period, the S-Sister Group, which is beautiful and individual in size, is the man of the school. Taiwanese media said that they are "fire". After entering the entertainment circle, the development of sisters Amoy is also smooth and smooth, and is more famous than the classmates. This time, the class meeting will be held, and everyone will give them a face to come. It is obvious that the size S is very good. Once the sisters were married and had children, the focus of life was placed on the family. But the friendship that is known to the micro-time will last forever. Edited by SHANCAI_XUXIYUAN, 04 February 2019 - 06:42 AM. Many artists in Taiwan have graduated from Huagang Art School. The most typical one is the size S in the "Huagang Seven Fairies". I believe no one knows, and the small S is still active in the entertainment circle, but the big S has gradually faded out, but Because the popularity is outside, so every time there is a big exposure, if you want to choose the spokesperson of Huagang Art School, I believe that only the size of the S is. It may not be necessary to be the spokesperson of Huagang Art School, but it is ok to be a convener of Huagang Art School. 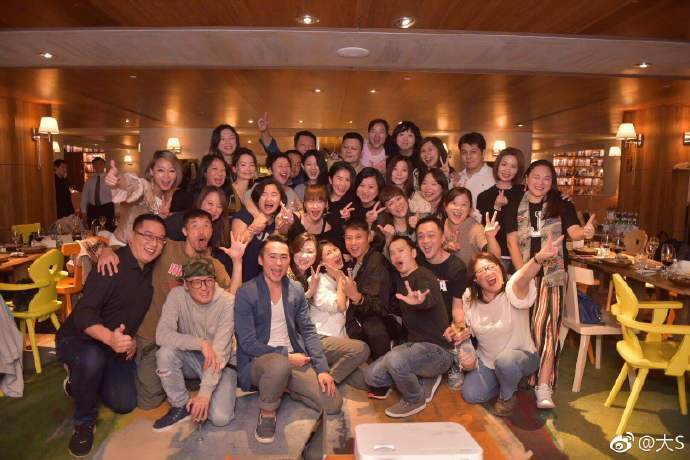 In recent days, S and S have successfully held the "Huagang Art School High School Alumni Association" at the S Hotel Hotel. In terms of the appeal of the size S, this class meeting is organized by no one to attend. 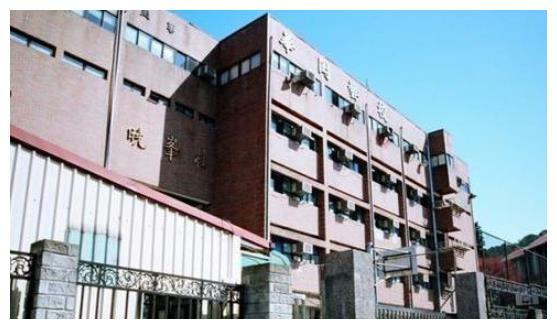 Exaggerated, the 40 former students are not a problem, but everyone is most concerned about whether the "Huajang Art School Seven Fairies" have gathered together. It’s not easy for the “Huanggang Seven Fairies” to gather together today. After all, some people have withdrawn from the entertainment industry, have a low-key life, and don’t want to show their faces in front of the public. Everyone has their own life, their own. 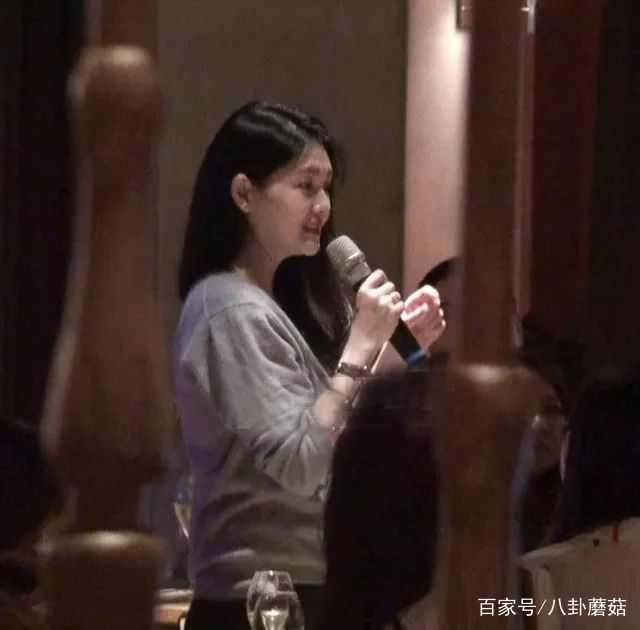 Career, own pursuit, such as this meeting did not see Aya's figure, but Wu Peici flew back to Taiwan from Hong Kong, low-key appeared at the event site. Indeed, among a group of students, Wu Peici is extremely low-key, but it is particularly eye-catching. After all, the temperament of the lady is unobstructed. 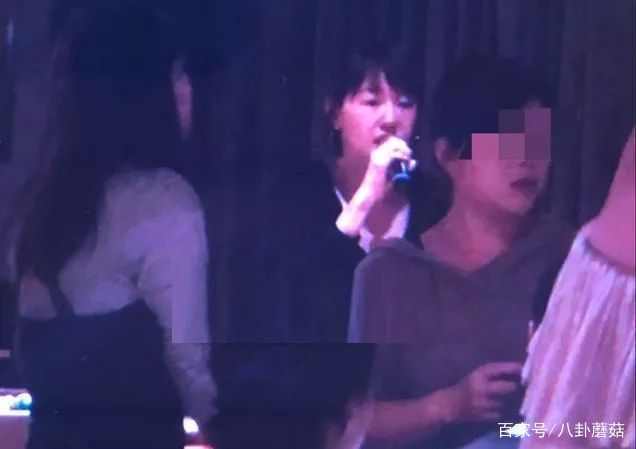 Perhaps she was afraid of being overexposed by the media, so she did not speak on stage or attend the photo at the class meeting, but she had already left the scene without waiting for the party to end. 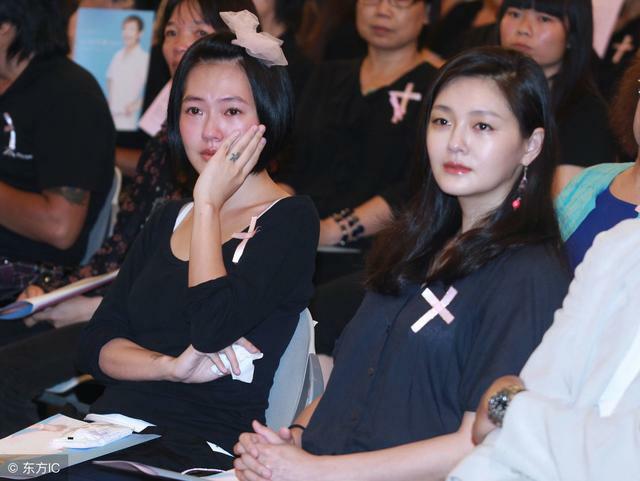 If it was not caught by the media at the tip of the eye, maybe everyone I don't know if Wu Peici also participated. Wu Peici's participation can be confirmed, but Aya did not appear, so she also caused the curiosity of netizens. Where did it go, is it the one who took the photo? In fact, in addition to Aya, there is also an artist who is very much missed by many netizens. This artist is Da Bing. Da Bing used to be a well-known comedian in Taiwan. He has a very good relationship with size S and has a high reputation in Taiwan. However, it is because many drug abuses have been caught and eventually ruined the road of the entertainment industry. But even so, the size S has been Very concerned about Da Bing, it can be seen that the three people have a deep personal relationship. What is more regrettable is that Da Bing died in Beijing in 2012 due to illness. At that time, the size S was able to see his last side in the future, which also became the knot of the size S. In addition, Da Bing also graduated from Huagang Art School, so this time the Huagang Art School Alumni Association will naturally remind everyone of him. However, he has passed away for 7 years. This is very embarrassing. Edited by SHANCAI_XUXIYUAN, 04 February 2019 - 06:43 AM. Opening a class meeting will undoubtedly be a very wonderful process. Everyone remembers the funny things that happened when they were young. It is a thing that makes people feel happy. The friendship that was formed in childhood is a true friendship. It has nothing to do with it. There is no intrigue. There is no calculation, just because you can come and play, so the friendship that you have built on campus during your childhood must be cherished! On the evening of January 11th, Das sang a photo of his classmates after 22 years. The big s shared a group photo of a classmate who was not so high-definition. Everyone looked very happy and excited like a group of children. . Born in 76, she is now 42 years old. It is estimated that the students are basically in the middle of no doubt. Some have been blessed in middle age, some are quite handsome, and the state is very different. The little s is a little bigger and more photos are taken. This big table, because of the small s, will definitely become more joyful. I really didn't expect the big s to be the initiator. It can be seen that she is a very serious and important person. However, why do you feel that the big s are fat and thin? The big S is still a fascination in the eyes of the classmates. The classmates will attend more than 40 people in the audience, giving them a big S face. This time, they will open a class meeting at their own hotel. I am an old-time student, and I am very happy when I smile. Although Huagang Art School is not very good in all aspects, its reputation is super-large. The star artists who go out from here can be said that there are countless stars shining. In addition to the above, there are also Lin Zhiying, Yang Yulin, Wang Xinling and Axin. Su Jianxin and so on, Zhiling sister also served as a dance teacher here. According to the teacher's description, Lin Zhiying was too red. The school's phone was all looking for him. When he didn't run the notice, he was in the school day. Every day at 5:00, the school was outside the school. Edited by SHANCAI_XUXIYUAN, 27 January 2019 - 10:22 PM. The two people's homes did not use too many complicated decoration methods during the renovation, but it made people feel very relaxed and comfortable, and the whole was using a relatively light color, which makes people feel more like watching. Light. The sofa is a soft, gray style, and a green plant is placed in the home, which gives the space a very fresh and comfortable feeling, and also makes the home space more beautiful. During the renovation, a black cabinet was placed in the corner of the house, which made people feel calm and calm, and decorated with an ornament and photo frame when the space was arranged. It looks more like It is a wedding photo of two people, but the layout of the whole space will give people a feeling of retro. The kitchen was designed with a marble countertop and log cabinets in the decoration, which will give the whole space a very clean and comfortable feeling, and also designed a bar next to it when decorating. A lot of home decoration looks different, but it will look more personalized and graded. The refrigerator is designed in the kitchen, which makes it easier to take things. This design will make people feel more life-like taste. The bedroom was decorated with a more old-fashioned wall design when it was renovated, but it made people feel more retro, but the bed in the bedroom was chosen to be a more novel style. Edited by SHANCAI_XUXIYUAN, 04 February 2019 - 06:47 AM. The so-called sisters in the entertainment circle spend a lot, but the real sisters are few, and the sisters are very red, and there are very few, and Xiaobian can really think of the size S.
The hosts of the two sisters have always been known for their poisonous tongues, but the audience are inexplicably fond of the host who always asks the spicy questions, and the older sister S also has many fans in the film and television, so he is basically retired after getting married. Still popular, but the small S in addition to hosting, but also produced a record, but also a lot of very red songs to lyrics, can really be said to never blow talent but talented people. But many people don't know that there is a big sister in size S.
I have seen an interview with a mother of size S, saying that my three daughters are the best, the latter two are more ugly than the one, but Xiaobian thought at the time. The size S has been very well seen. Later, I saw a photo of the small S and the big sister. I feel that the facial features of the big sister are good-looking, but it is still a bit old with the small S.
However, from the photos of the three sisters when they were young, it felt that their mother said that they were right. When I was a child, I really had the best temperament (the leftmost). Size S was originally a combination debut, and there were several albums. Once the big S joked that the big sister is a passerby face, if you don’t follow the shopping, the big sister is easy to lose and can’t find it in the crowd, but the joke is a joke. She has said that the older sister has been better than them since childhood and praised her sister. Although the two sisters worked hard in the entertainment circle, the time for marriage was no later than that of the big sister. In the year of the little S daughter, the older sister got married, and their mother said that she finally married the big S.
Big sister's husband is doing business. Although the big sister started to do business with her husband, the big sister's personality does not seem to be suitable for business. Later, she started a housewife. And when I look at the photo of Xiao S and the big sister, I really feel that the big sister has been very happy. Although the maintenance is not comparable to the two sisters, the happiness is not lost at all. Edited by SHANCAI_XUXIYUAN, 04 February 2019 - 06:53 AM. Edited by SHANCAI_XUXIYUAN, 28 January 2019 - 09:54 AM. Before the big S, I have never seen any actress, like her. In the career, he has crossed the ranks of actors, singers, presenters and writers. He is well-versed in all kinds of martial arts. Coincidentally, every one of them makes a distinction. At the age of 17 years old, the big and small S became a hit with a "10 Minutes of Love". The strange image of the ancient spirit, instantly harvest a large number of fans. At first, because of weight loss, a lot of diet pills, and finally into the hospital. The secret of losing weight in the big S has been reported on the Internet. Throughout the whole recipe, it is to control diet and exercise. For a long time, she is really thin. Skinny to the sternum is completely prominent. Edited by SHANCAI_XUXIYUAN, 04 February 2019 - 06:55 AM. Because of the wonderful performance in "Happiness Trio", Wang Xiaofei, Fuyuan Ai and Jiang Qinqin have become the focus of the audience. The three families also contributed a lot of things to everyone. The relationship between Da S and Wang Xiaofei is Caused a lot of hot discussion. In the program, Wang Xiaofei's performance has made many people shine. 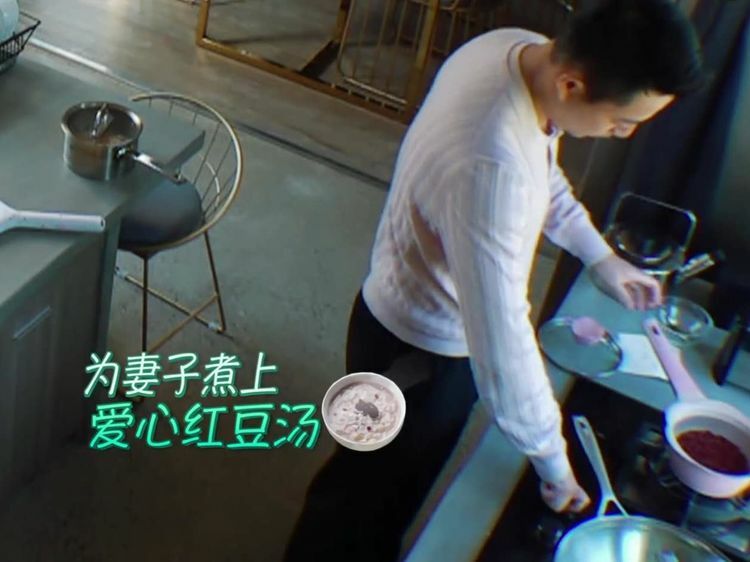 The handsome and handsome Wang Xiaofei will not only cook, but the treatment of the big S is also very surprising. Many viewers have also broken the previous impression of Wang Xiaofei. 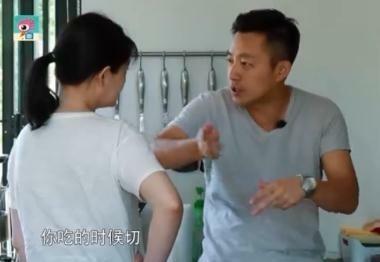 After the show aired, bad netizens used Wang Xiaofei as a role model for men. As the show airs near the end, "Happiness Trio" is about to usher in a farewell to the audience, and in the latest show, three pairs of star couples have greeted a romantic candlelight dinner, reflected in the candlelight Next, the three pairs of star couples are also open and happy to talk about it. 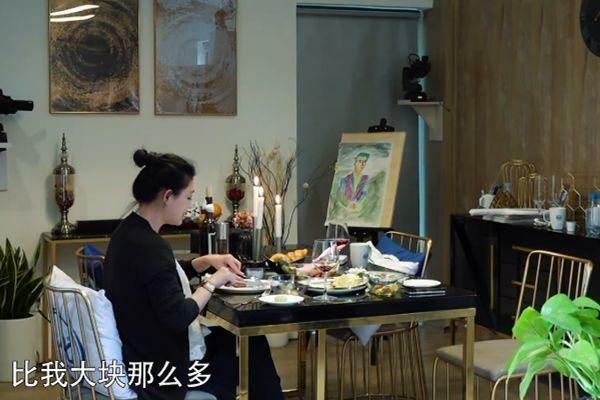 At the dining table, Big S also took the initiative to ask Wang Xiaofei through this experience, and whether there will be any change in life after the two return. 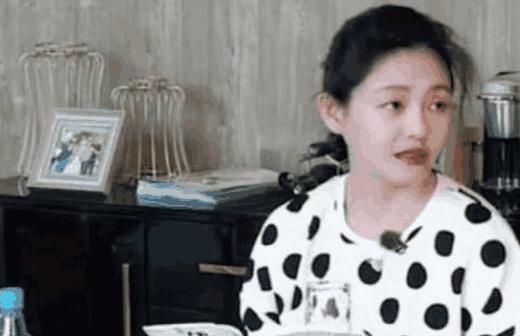 However, Wang Xiaofei, who has never dared to neglect his wife’s question, did not think about it this time, but blurted out: "I hope to speak well." 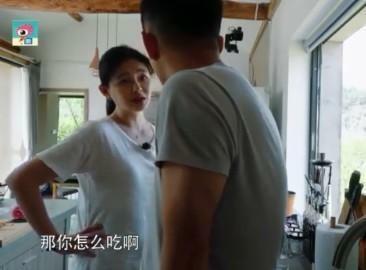 For his own answer, Wang Xiaofei also took the initiative to explain that he had not paid enough attention to his wife's previous treatment. I hope that after the two return, they can listen to each other. 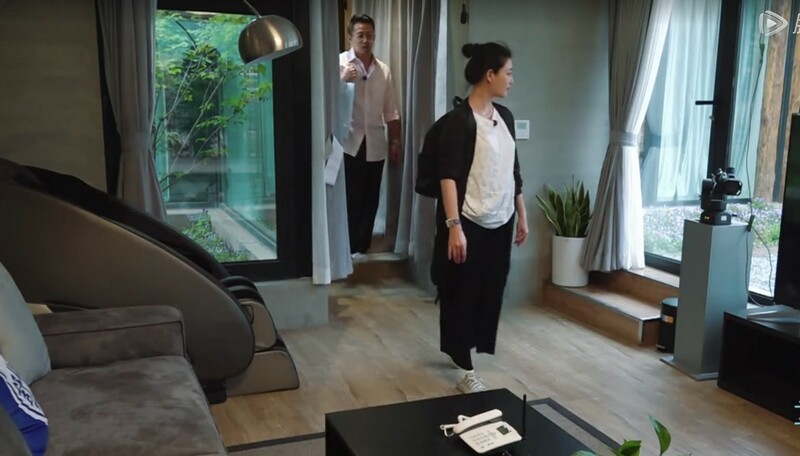 From the words of Wang Xiaofei, I can also feel that before the show, the two people in their daily lives, the relationship between husband and wife is not as harmonious as in the program, and in the program, Big S also spit out Wang Xiaofei’s daily life is not in the program. The program is so conscious. After experiencing the warmth and sweetness of the two-person world, Wang Xiaofei also said that when the children are older, the two will make appointments with friends to travel around. 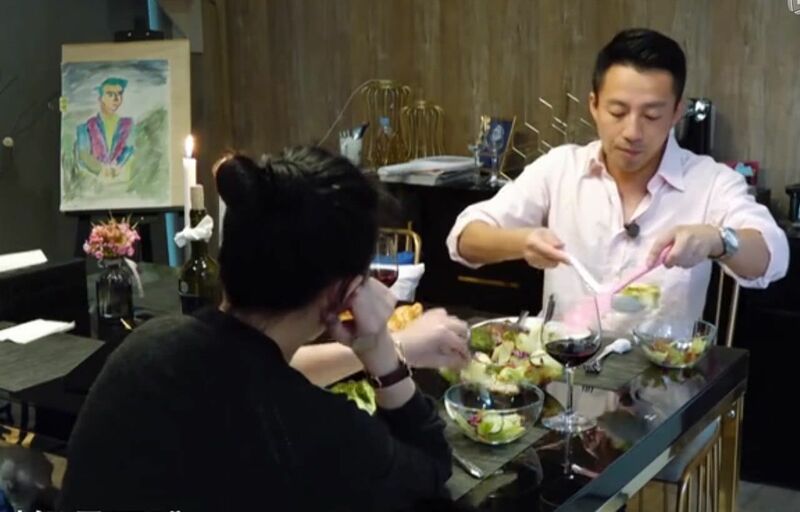 As a couple's reality show, "Happiness Trio" also shows everyone the more real side of the couple's life. Even the star couples will have contradictions and quarrels. I don't know how you think about Wang Xiaofei's performance on the show. What about it? Edited by SHANCAI_XUXIYUAN, 27 January 2019 - 11:17 PM. This summer's warmest variety "Happiness Trio" has finally come to a close. 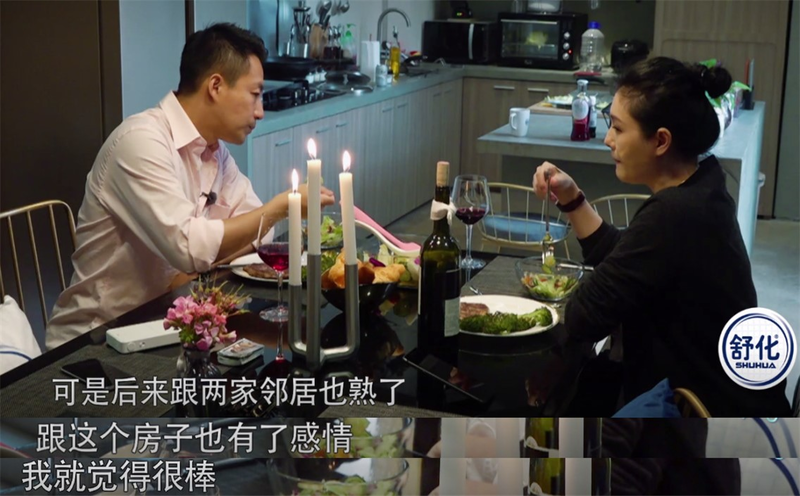 This series of performances by Chen Jianbin, Jiang Qinqin, Da S Wang Xiaofei, and Fuyuan Aijiang Hongjie, which are attended by couples of different ages, has also become the focus of discussion from time to time. There aren't too many hot search exposures, and the advertisements are very "hard". The netizens ridiculed: This show is really a Buddha. But I have to say that every period is very interesting, and it is also a constant laugh. In the latest issue and the final issue of "Happiness Trio", the two couples, Big S Wang Xiaofei and Chen Jianbin Jiang Qinqin, are also very interesting. or Wang Xiaofei, one of the four majors in Beijing, he did not have a high demand for his wife's cooking skills. He must know that he is also the owner of many hotels. 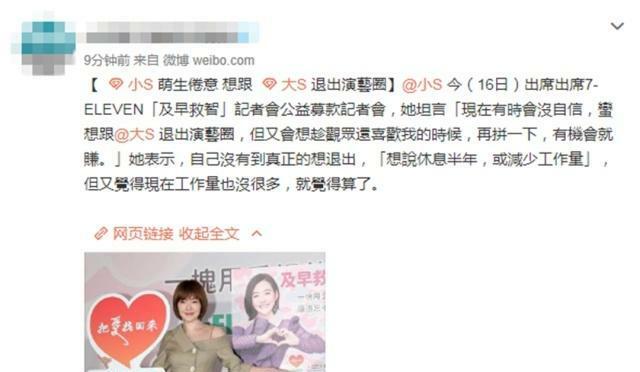 However, netizens also said that "theft after pointing out the mistakes, they did not stand by and watched, but personally demonstrated that Wang Xiaofei is a good man." In fact, Wang Xiaofei is probably the most popular among the three men. It is the overbearing president. At home, he is the most intimate husband of Da S.
In fact, when watching the two men cycling out to play, Wang Xiaofei was very patient and accompanied by the big S to learn to ride a bike, really gentle. 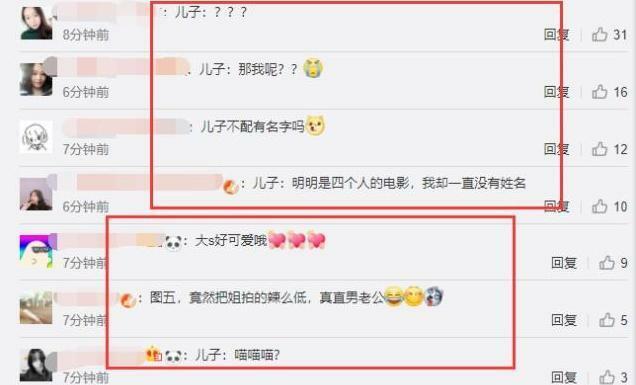 Although sometimes it is not very difficult to deal with the problem of the big S, but it can be seen that Wang Xiaofei is really very big S. Previously, because the big S's stripping theory was questioned, Wang Xiaofei also responded on Weibo. Which pair do you like for these two couples? Edited by SHANCAI_XUXIYUAN, 04 February 2019 - 06:58 AM. The "Happiness Trio" has come to an end and accompanied us on a summer show variety show. After the start of the school, it successfully closed. The trio is over, and the love and affection between them is still spreading. We are reluctant to have the three summers in the suburbs of Beijing: Chen Jia, Wang Jia and Jiang Jia. 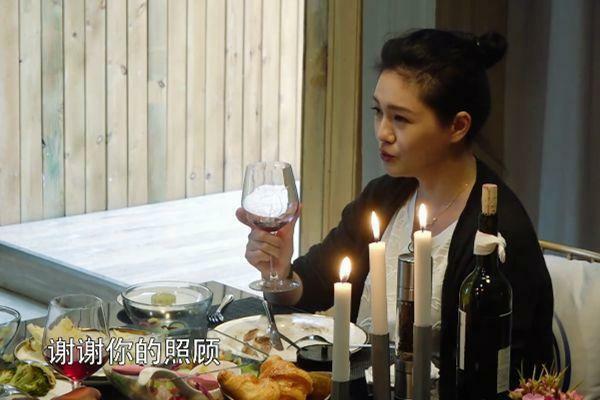 Big S and Wang Xiaofei In this variety show, the last dinner was a romantic candlelight dinner. Wang Xiaofei personally cooks the steaks in person. This sincerity is really full, and this intention is really real. The two sat at the table, the candlelight was a little bit, and the big S saw that the steak in his dish was obviously smaller than the steak in the opposite husband's plate, but at the same time she also found that her husband's steak was quieter than her old and fat, Wang Xiaofei was like this. Paying for the big S.
The big S moved, and began to thank her husband: "Husband, thank you for accompanying me to record "Happiness Trio" during this time, then most of the things inside are you doing, family things and killing insects, and those Electrical appliances, in fact, I still can't figure out until now, they are all you are making, and there are things to eat, you are also making, thank you for your care." Wang Xiaofei was moved inside, but his face was expression Still cloudy and light. Edited by SHANCAI_XUXIYUAN, 28 January 2019 - 06:15 AM. Therefore, Wang Xiaofei also began to respond to the big S, he thanked the big S to accompany him to this place, the deep forest, but this is also Wang Xiaofei's growing environment, so he also wants to bring his family to see it. 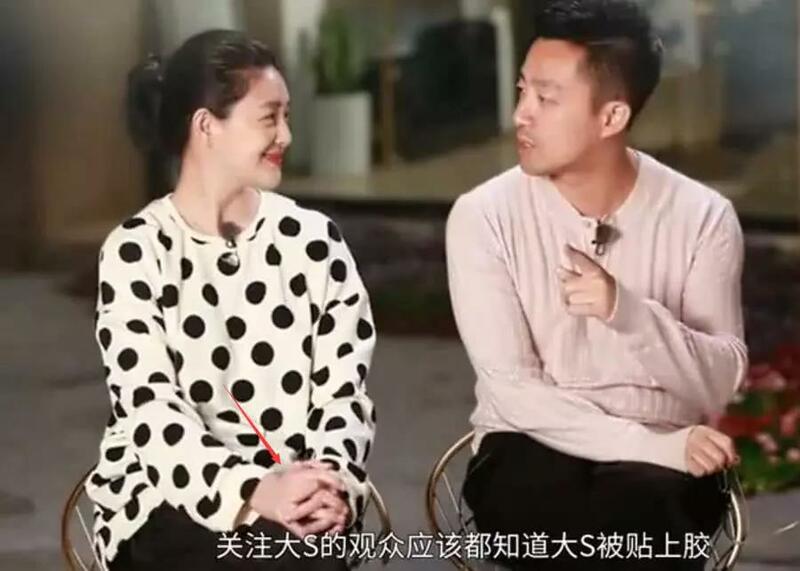 Wang Xiaofei continued to think about where the husband and wife went after playing, mentioned the seaside, if you go there, you can go diving and fishing. Wang Xiaofei continued to take advantage of these trivial matters, and Big S blurted out an English sentence: shut up (shut up). But then, Big S said another English, the next sentence is I love you, I love you, Wang Xiaofei listened, the whole person was happy, happy smirk. Edited by SHANCAI_XUXIYUAN, 28 January 2019 - 11:00 AM. The "Happiness Trio" has been closed, and the last time it has updated its membership. Three families in the outskirts of Beijing, Chen Jia, Wang Jia and Jiang Jia, Chen Jiang and his wife moved out of the hut in advance, because Jiang Qinqin teacher is pregnant near the expected date of birth, and has to return to the big city to prepare for production.There are still two small families, Wang Xiaofei and S. Jiang Hongjie. 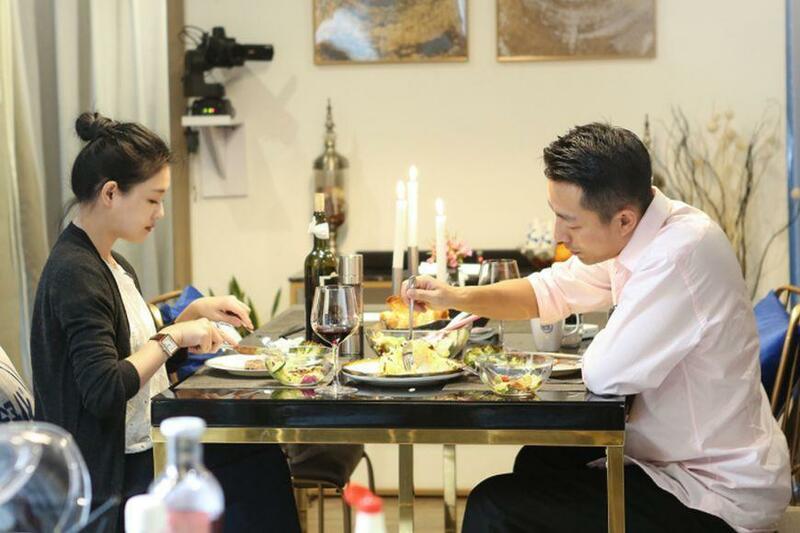 Chen Jianbin in the city took his wife Jiang Qinqin to a romantic candlelight dinner. 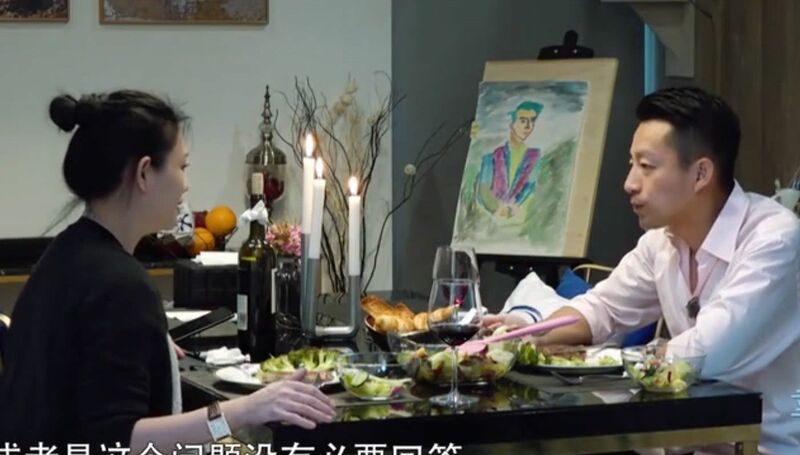 At the same time, Wang Xiaofei also arranged a candlelight dinner in the cabin, because this is the last dinner of him and Da S in this variety show. So choosing a formal romantic candlelight dinner is extremely correct. 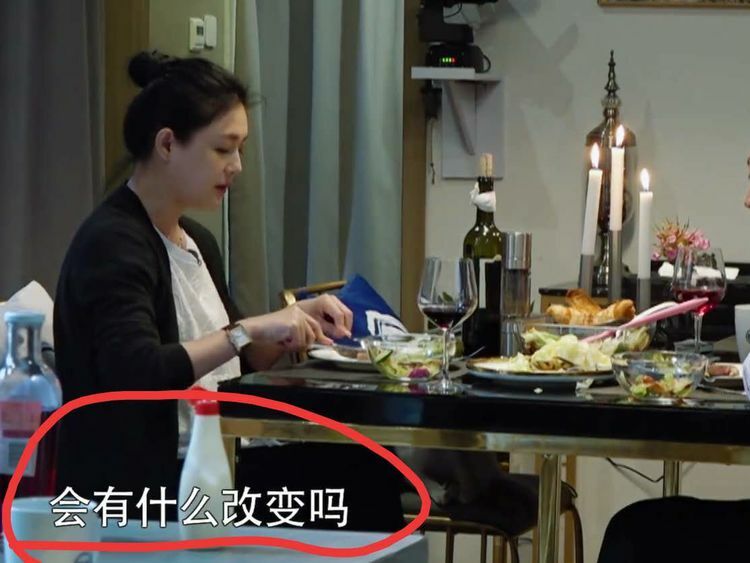 Not only that, but Wang Xiaofei personally cooks and starts a steak. Candlelight dinner with Western food, big S feels a full romantic atmosphere. However, when she sat down at the table, she found that the steak in her dish was significantly smaller than the steak on the opposite husband's plate. 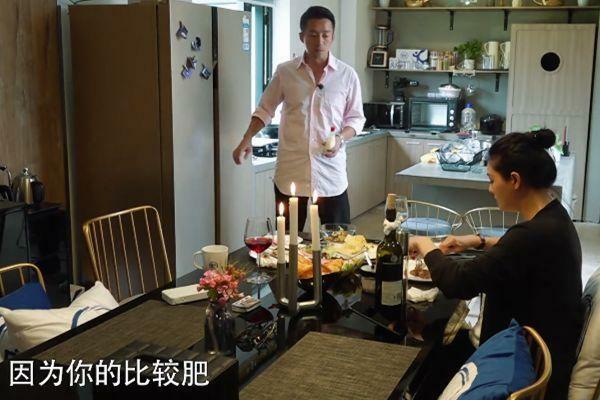 It turned out that Wang Xiaofei used his own convenience as a steak and chose steak in advance. The thing he secretly did was discovered by his wife, but the big S did not get angry. Big S moved in the heart, blurted out a sentence: Why do you want to be such a fool?Wang Xiaofei silently did a lot of things for the big S. This is just one of them. Wang Xiaofei, as a northern man, has a special northern character, which is the only thing that does not talk. To love someone is not only reflected in verbal expression, but more importantly, what you have done.The man who is acting is more handsome. Edited by SHANCAI_XUXIYUAN, 28 January 2019 - 11:04 AM. After the recording of the program was completed, Wang Xiaofei said the next destination, and Big S quickly shouted "Shut up"! "Happy Trio" This program ended with Jiang Qinqin's birth, and everyone ended the recording. Although it seems a bit hasty, it is also very warm. In this program, everyone has gained a lot of emotion and happiness, as well as between husband and wife. To understanding. Although the two people are busy with their own careers, but the big S is also very understanding, because the two people are really very love, in this program two people rarely have to live together for a long time alone . 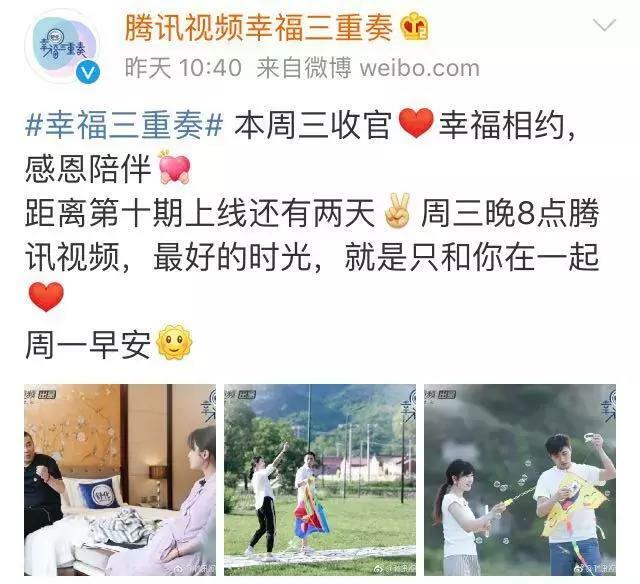 No children, no friends, only two people stay together, when returning to fall in love, Big S is very very grateful to Wang Xiaofei, Wang Xiaofei is also very moved, Wang Xiaofei also wants to go to the next place. But the big S made Wang Xiaofei not to say, because such an environment is really too romantic, Wang Xiaofei has been talking, but it has destroyed this atmosphere! Edited by SHANCAI_XUXIYUAN, 28 January 2019 - 10:59 AM. 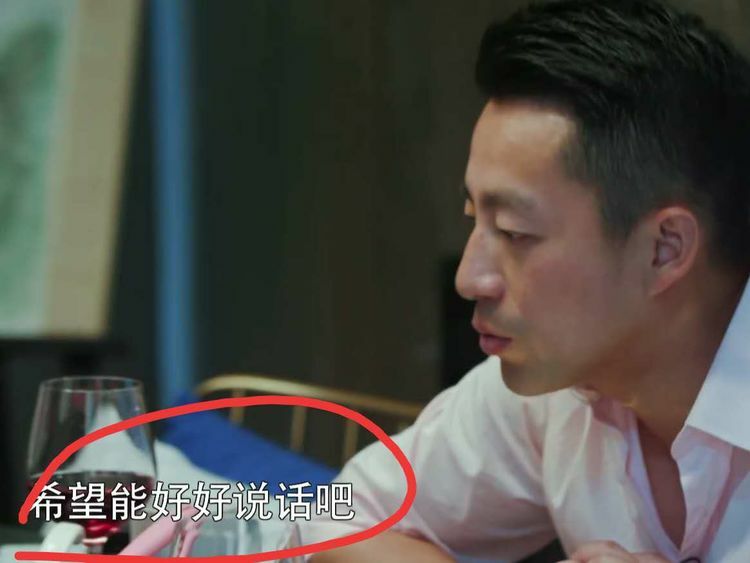 The unintentional dialogue between the big S couples tells the true situation of life, netizens: husband and wife do not! As time went by, along with everyone's summer vacation, the popular variety "Happiness Trio" also ushered in its ending. 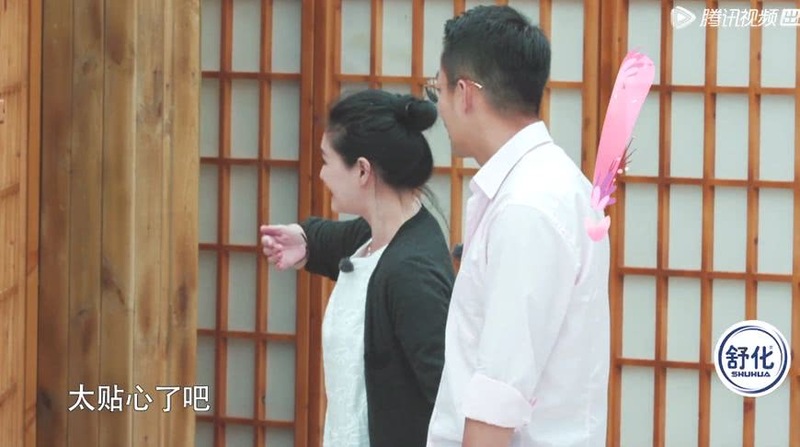 The three couples on the show left a deep impression on the audience, especially the teasing of Chen Jianbin and Jiang Qinqin, the funny big S and Wang Xiaofei, and the Fuyuan love and Jiang Hongjie who sprinkle the dog food every day, although the three couples The mode of getting along is not the same, but they show the most real feelings between husband and wife in front of the audience, Xiaobian believes. Everyone has learned a lot about their relationship between husband and wife from their lives! Although in this episode, the three couples did not have the joy of the past, they showed the kind of nostalgia for the show and the place where they lived. 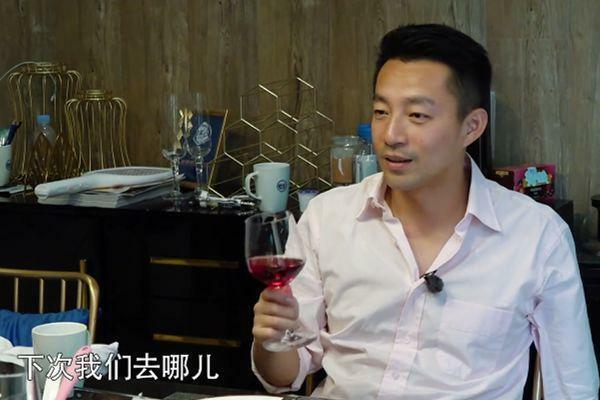 Fukuhara love said on the show that he hopes that the show will have a second season, and he hopes to build a training base next to it, so that they can live here every day, and Wang Xiaofei and Da S are all over the place. 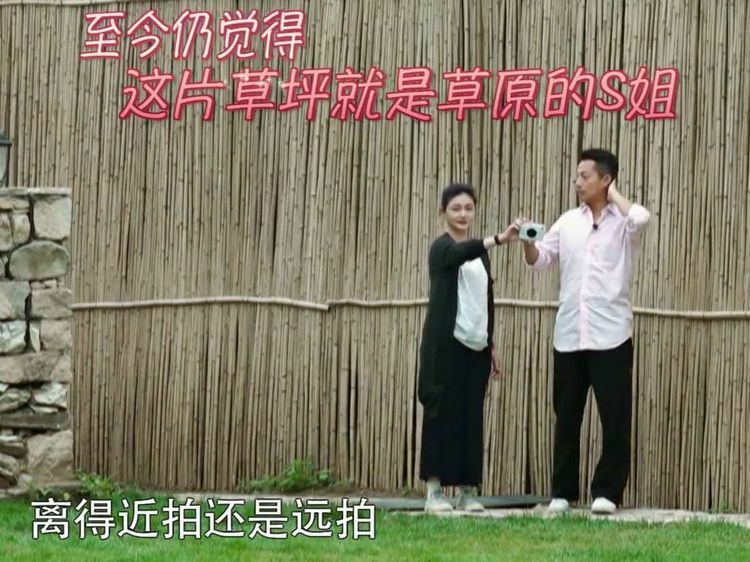 The place also took photos as a souvenir, and Chen Jianbin and Jiang Qinqin, who lived in the center of the month, could not easily see their nostalgia for the show through their dialogue! 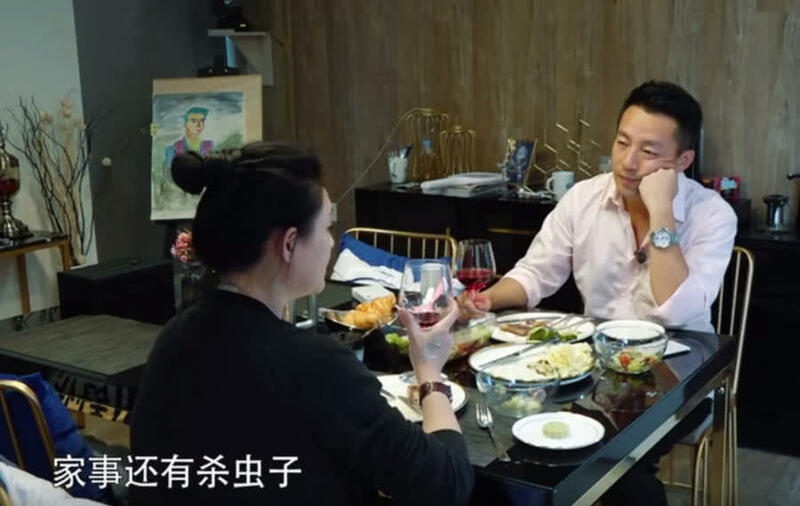 Often the most memorable time is also the fastest, and soon one day's life is over, and at this time, Big S and Wang Xiaofei are enjoying a sumptuous dinner while chatting about the harvest. In the process of chatting, I believe that careful friends can find a very important question from their conversation, that is, what their real life is like. 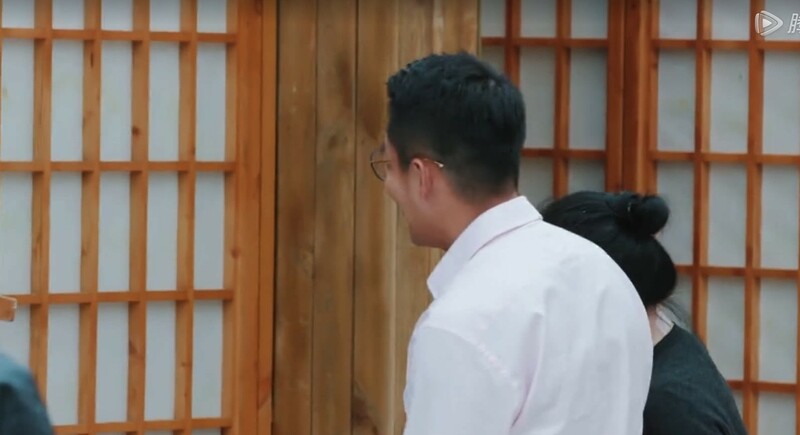 Recalling the 11th episode, Big S and Wang Xiaofei performed the most romantic and happiest pair in each episode, but they found them true through their words and Wang Xiaofei’s very worried expression. Life is not like that in the show! Edited by SHANCAI_XUXIYUAN, 28 January 2019 - 10:56 AM. The big S couple unintentional dialogue, telling the true situation of life, netizens: husband and wife do not! In fact, it is not difficult to hear through the dialogue between Da S and Wang Xiaofei that their real life is not as happy as the performance in the show. However, some netizens said that ''couples don't agree'' is just a guess! However, the later words of Wang Xiaofei were real and deeply impressed by Xiaobian. Xiaobian also believed that many viewers would be moved. 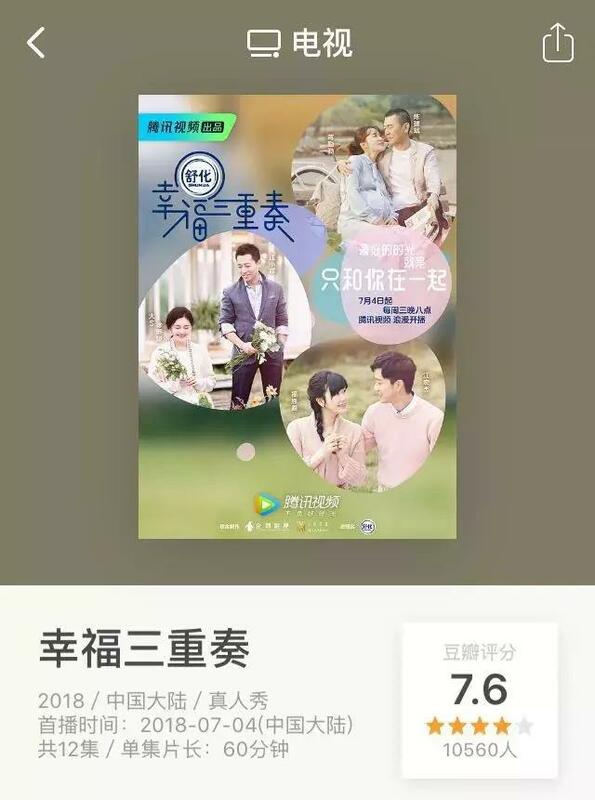 In fact, no matter what their real life is, Xiao Bian believes that their husband and wife's feelings will get better and better by recording this program! What do you think about the relationship between Big S and Wang Xiaofei? Edited by SHANCAI_XUXIYUAN, 28 January 2019 - 10:54 AM. The program "Happiness Trio" on the evening of September 5th has officially aired and ushered in a perfect ending. The three couples showed their grievances in the face of the upcoming farewell program and the place where they lived for twenty days. Compared with the expectation and joy of other guests when they first came to the show, Big S has a different mentality. In the final episode of "Happiness Trio", Big S said his true heart: at first he resisted participating in the show. Although Big S is already a very mature and comprehensive artist, he has also hosted a variety of variety shows, and he is also very active in the program. However, since the birth of the child, Big S began to gradually reduce the number of times in the public eye and turned to the family. The acting career has almost stopped, and the presiding work has become very rare. Occasionally attending the program as a guest is also a short recording time. If you want to leave the family for more than 20 days to participate in a reality show, it is almost impossible for the big S.
This time, participating in the "Happiness Trio" program, not only needs Big S to leave the child who is still younger, but also faces the camera 24 hours a day and exposes his life to the camera, even if he is For the artist, this is somewhat unacceptable for the big S. Therefore, the big S said that he was very resistant to attending the show at the beginning, and later he was relieved by Wang Xiaofei's persuasion. After coming to the show, at the beginning, the big S was still somewhat cautious, anxious and had various kinds of discomfort. Gradually getting familiar with the neighbors, having feelings for the house where I lived, and harvesting the lovely "milk", all the negative emotions gradually disappeared and I was able to enjoy everything around me and began to discover that everything was very good. Baton. Now that the show is over, there is too much disappointment in my heart. During the speech, the big S has already been red-eyed. It seems that everyone really fell in love with this "home" that gave them endless sweetness, romance and happiness. Compared with the big S Wang Xiaofei, the feelings here are even more profound. Wang Xiaofei himself is a Beijinger who has always had a strong feeling for Beijing. This time, through the program of "Happiness Trio", he enjoyed a life of more than 20 days that is completely different from the past. Therefore, the feeling of this "home" is even more profound. It is. On the day of the show, Wang Xiaofei said on Weibo that he hopes to go back to Beijing's most beautiful autumn. The "Happiness Trio" program is over, not only the three guests of the show, but also the loyal audience who has followed this show for two months. Although I am not willing to say goodbye, I look forward to the romance and sweetness that will open again in the future. Edited by SHANCAI_XUXIYUAN, 28 January 2019 - 10:53 AM. Tonight, "Happiness Trio" ushered in the final issue. The three couples showed a strong reluctance to live with the two people, and more of the relationship between the neighbors from friends to a family. 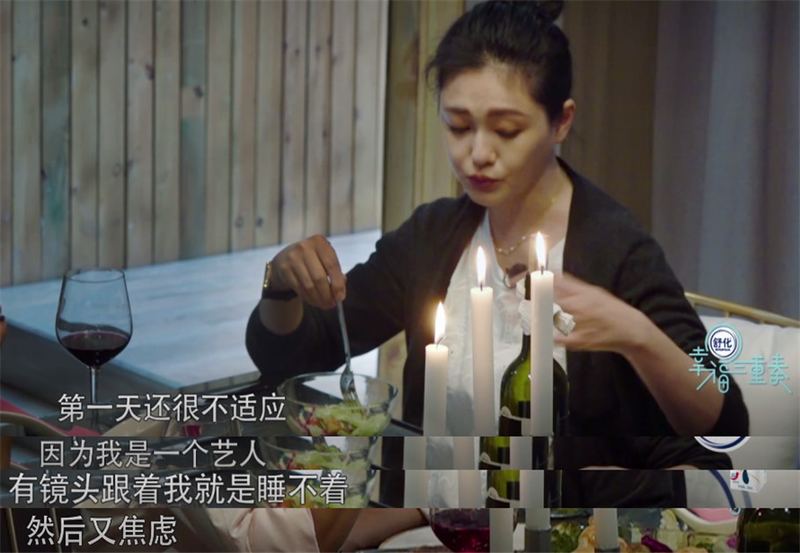 In the final episode, Wang Xiaofei and Da S prepared a romantic candlelight dinner. However, after ten days and twenty days of getting along, I had a relationship with the house. I found out that this lifestyle was great after I got along with Fuyuan Ai and Jiang Qinqin. Big S once choked when he said these words, and it was really disappointing to see it. 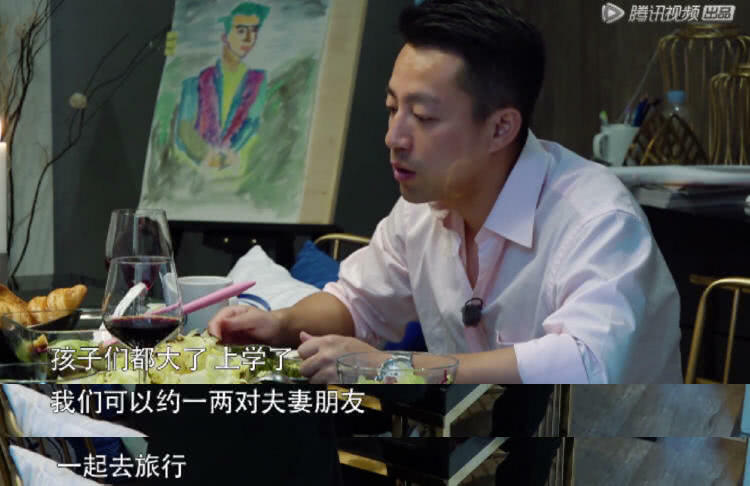 Wang Xiaofei also confessed to Big S: his original intention was to have an opportunity to do things that two people had never done before. Whether it's taking a cable car or riding a bicycle or painting, it's something that two people have never experienced before. Edited by SHANCAI_XUXIYUAN, 04 February 2019 - 07:00 AM. Big S and Wang Xiaofei also promised each other to wait for the children to go to college. The two people should travel as if they are about three or five friends, and live the life of two people. When Wang Xiaofei asked Big S about what he was dissatisfied with on his vacation, Big S would honestly say what he cares about. Wang Xiaofei didn't care. 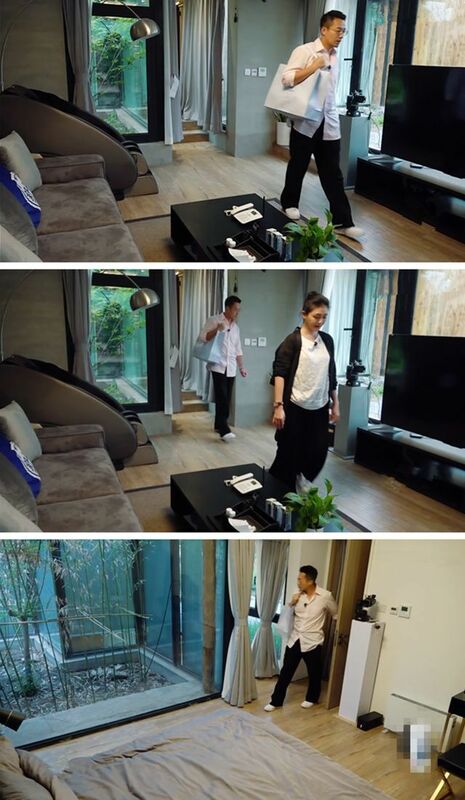 Just like the bees that have always been in the house, Wang Xiaofei feels that there is no need to deal with it, but Jiang Hongjie will catch the bees flying into the house over and over again because he wants to protect Fukuhara. From the words of the big S, you can feel a little envy. 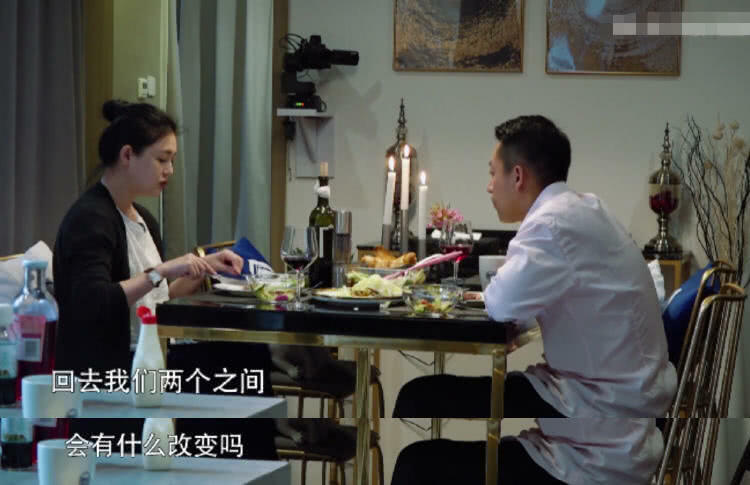 But in fact, this is not the same as the couple's mode of getting along, maybe Jiang Hongjie's handling will be very romantic, Wang Xiaofei's handling is very straightforward. Each person's approach to the problem will have different ways of dealing with the problem. Edited by SHANCAI_XUXIYUAN, 28 January 2019 - 10:44 AM. #幸福三奏# @大 S Sister said that I realized a lot of my first time in the happy hut, so the "first happen" is to share with the favorite people more meaningful ~ want to see more Wonderful content, 8:00 pm next Wednesday, the 11th member special edition must not miss it. Edited by SHANCAI_XUXIYUAN, 10 February 2019 - 11:48 PM. "Happiness Trio" accompanied everyone for a summer vacation, and finally said goodbye to everyone. This variety show should be a variety show of the most Buddhist departments at present. The rhythm is slow and simple, but it is in the plain and faint that we feel the truth. Feel simple and beautiful things, just like the big s said, there is no work here, no troubles, no children, just two couples, have been to the really simple and simple two-person world, feel each other's love It is really hard for couples who have been married for many years. In the program, we also realized that the different sides of the star, like Chen Jianbin, usually look very serious on TV, very fierce, very serious, I did not expect it to be a slap in private, I did not expect Jiang Qinqin actually A person with such a good temper is completely different from the sister in the film "Half-Life". 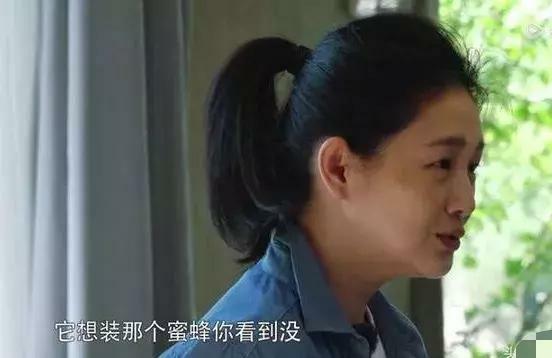 Fukuhara's character is well known to many people, but she did not expect her husband Jiang Hongjie to be such a warm person. Big S and Wang Xiaofei let us have a new understanding. At the end of the program, the three couples will return. Wang Xiaofei asked the big S "wife, you said that I have to go back and need to change." I didn't expect Big S to blurt out four words "less swearing", this is for everyone. After a moment, after all, I didn’t see Wang Xiaofei’s swearing in the show. He always seemed to be very gentle, especially spoiled, looking at people who lived in big eyes. Of course, it may be that the program has clipped these out, but some netizens share this feeling. After all, it is really unbearable to say swearing. In fact, the mode of getting along with Wang Xiaofei and Da S is very similar to many couples. Wang Xiaofei is a very traditional person. He is less likely to express himself. Just like the big s asked Wang Xiaofei to be hungry? Even if Wang Xiaofei is very hungry, she will still say that I am not hungry. The big s is just the opposite. She is a person who is very good at expressing herself, and will clearly express what she wants and does not want, so the two together are special. Although the "Happiness Trio" ended, it gave everyone a lot of enlightenment. Men and women are two completely different creatures, and the way of thinking is completely different, but love is the same. Edited by SHANCAI_XUXIYUAN, 28 January 2019 - 10:43 AM. Wang Xiaofei accidentally dropped the table, and the big S was an inconspicuous move, and he got applause from netizens! When I mentioned Wang Xiaofei and Da S, more people would pay attention to Wang Xiaofei's body. Because of the "Happiness Trio" program, Wang Xiaofei felt that his body was weak and his face revealed a very tired look and he could not lift his spirit. The two people's meals are also the most sloppy in the other two couples. I can't see how delicious. Wang Xiaofei always copes with his stomach. It can be seen that netizens like Fukuhara love for a certain reason. Without comparison, there is no harm. The recording of the show is over. The two people are dining together with vegetable salad. When you see the table, do you have an appetite? Anyway, I don't have it. It is really not good to eat these vegetable salads every day, but Wang Xiaofei is the hotel owner. I believe he must have a certain plan to eat. 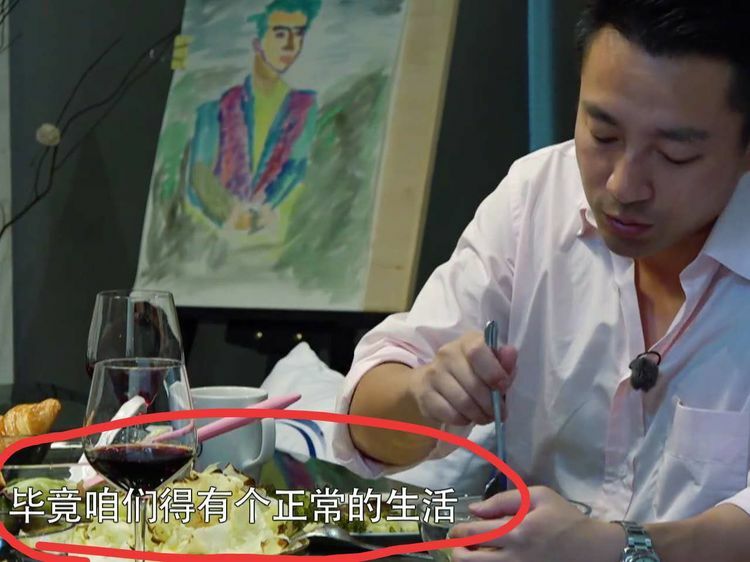 The normal dish, Wang Xiaofei a spoon, a shovel, did not accidentally dropped a leaf on the table, maybe he did not notice this little detail. I was seen by the big s opposite, the big S was there to say this, an inconspicuous move, get the applause of netizens! She picked it up by her own hand and put it in her own bowl. Although it is a small move, but many of the stars fall out of the food will not pick up to eat, this point is also proved, the savings are not wasted, the grain is hard work? Edited by SHANCAI_XUXIYUAN, 28 January 2019 - 10:41 AM. Edited by SHANCAI_XUXIYUAN, 10 February 2019 - 11:49 PM. Big S program is being questioned for fraud? 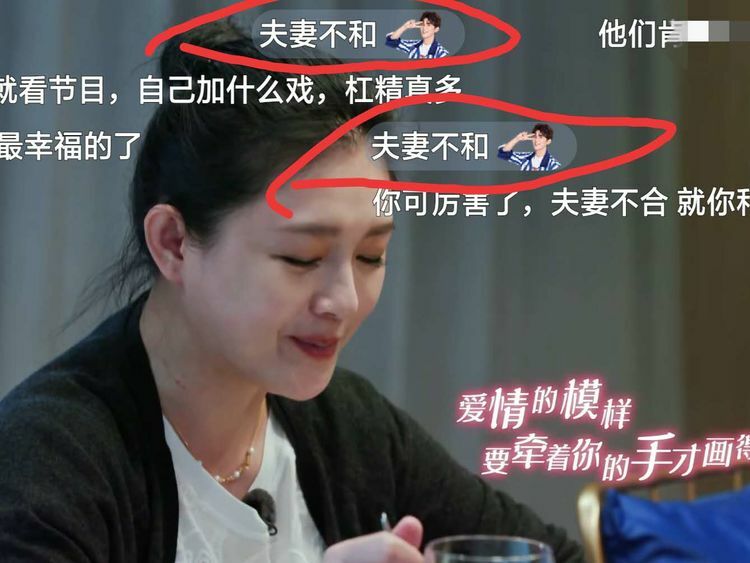 Seeing the little things in the hands and neck, the netizens "suddenly realized"
Since the couples of Da S and Wang Xiaofei have participated in the "Happiness Trio" program, they have been questioned by the audience and netizens. They suspect that the program is fraudulent and may follow the script. Even if it is performed in the form of a script, some of the details in life cannot be played by the script. This is no doubt, and it is also a real effect. It is a couple, but what problems can it have? Careful netizens always say why the big s hands and neck are stuck with things? Big s accidentally lost the baby in his stomach before attending this program. The body is lacking, and there may be no interest in anything. At this time, there is a Wang Xiaofei around. Regardless of the housework, Wang Xiaofei is the largest proportion, and almost no wife has been cleaned up. This is still envied by netizens. But the netizen found it. 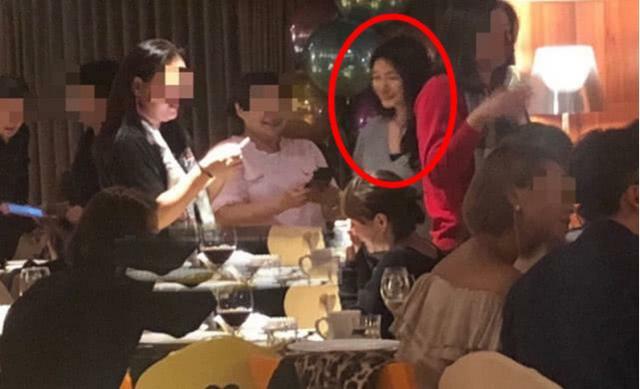 Seeing her previous photos, the netizens "suddenly realized"! It turned out to be a tattoo, and the program group is also to better reflect the quality of the video, so that the big s can be covered, and it will be difficult to deal with it later. The current requirements are also very strict! There is no need to wait for tattoos and other graphic road programs, but the bigger the s, the more it attracts people’s attention, isn’t it? Edited by SHANCAI_XUXIYUAN, 28 January 2019 - 10:39 AM. "Happiness Trio" is nearing completion. Three couples have spent their wonderful two-person world in the happy hut. Therefore, everyone has a feeling for the happy cottage, although there are some bees and flies in the process, but overall, everyone is very satisfied with the happy cottage. Chen Jianbin and Jiang Qinqin took the lead to leave the happy hut and they went to the Yuezi Center for labor. The Wang Xiaofei couple and the Fukuhara love couple stayed on the last day of the happy hut, and they got together for lunch. It turned out that Big S wanted to learn from Fukuhara to learn Japanese egg rolls and sukiyaki. After all, after the show is over, it is not easy to meet and learn to cook again. 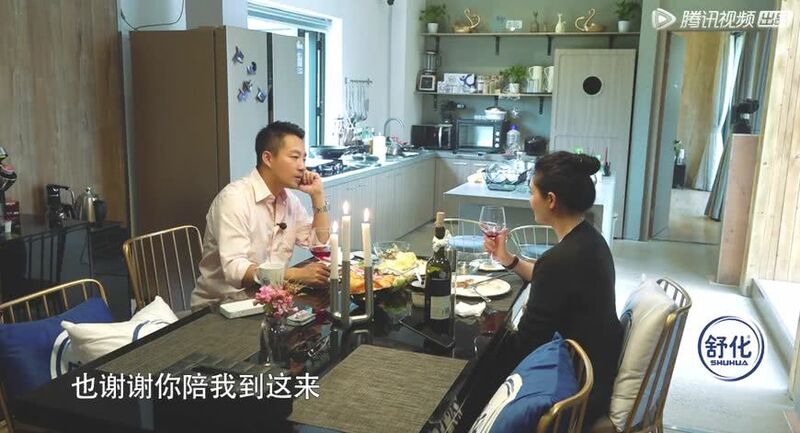 In the latest unreleased program, the Big S couple also had a candlelight dinner in the Happiness Cabin. 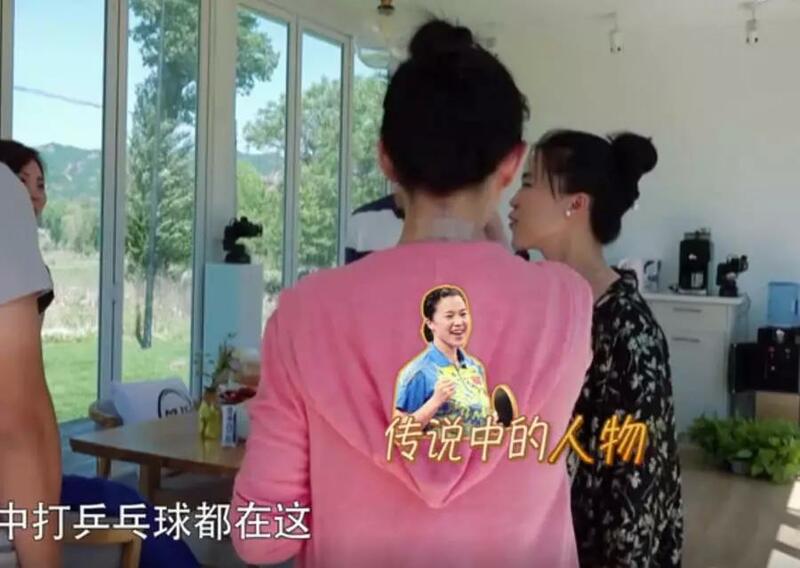 During the meal, Da S thanked Wang Xiaofei for accompanying her to shoot this program, and Da S also expressed her gratitude to Wang Xiaofei for doing everything for her in the program, including washing dishes and beating bees. Wang Xiaofei also expressed very emotionally, thank you Da S accompanied him to come here, deep forest Laolin. Because here is where he grew up, especially true. I can see that both husband and wife are somewhat disappointed. After all, they have lived in the happy cottage for a long time, and they definitely have feelings. So the big S couple bid farewell to the Fukuhara love couple before the departure, Fukuhara love also sent a gift to the big S and small S.
Fukuhara love revealed that she did not find a suitable one, so she sent the size S first. It can only be said that the emotional intelligence of Fukuhara's love is too high. Then the big S couple bid farewell to Fuyuan love couple. Then Wang Xiaofei went to pack up the luggage. Big S reluctantly left the happy hut. The careful friend found out that Big S stepped back three times. It turned out that she was worried that the kitten milk was not taken care of. Before leaving, she also deliberately squatted on the ground and talked to the milk, but unfortunately the milk immediately ran away. Big S forced to calm down, and soon she began to cry silently. At that time, the milk was the program group, she was afraid that the big S was boring and gave it to her, and the big S was always a very loving girl. She had been so reluctant to get along with milk for so long. 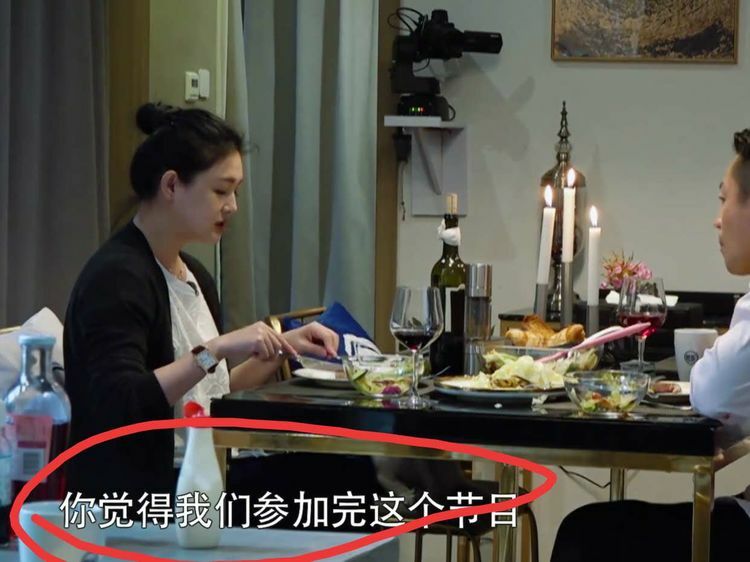 Big S revealed that he wanted to bring the milk home, but Wang Xiaofei did not agree. He thought that someone had raised it here. Big S saw Wang Xiaofei say this, she did not say anything. At this time, Wang Xiaofei saw that the big S was crying silently. He immediately warmed up and comforted, but obviously the big S did not listen to it. He went to the car and remembered to hang the milk. He still had a word in his mouth: I don’t know if the milk would think. she was? It can only be said that Big S is really a girl who is very emotional, caring and sentimental. What do you think about this? The show has also closed, will everyone be reluctant? Big S wants to go home, looking around for "milk" farewell, the kitten appears to make the big S burst into tears! 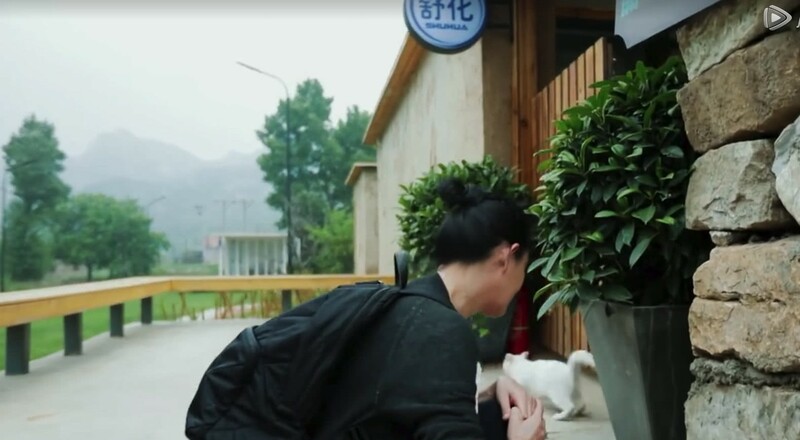 In this program, Big S claimed a very cute kitten, because Yin Xia Mo, who starred in the TV series "Summer of Bubbles", has a kitten called "milk", so the big S adopted this one. Kittens are also called "milk." In this program, Big S has a very deep relationship with this kitten. He also spent a lot of money to build a cat house for the kitten. Wang Xiaofei has been very helpful. It is really like this kitten. I have been giving this kitten a good treatment, drinking milk and eating cat food. I have been taking care of this kitten very much. It is obvious that Big S really likes it, but after the recording is finished, Big S and Wang Xiaofei will go home. ! But when I got home, Big S always wanted to say goodbye to the kitten, but I never saw the shadow of the kitten, so Big S was always looking for it. Bedrooms, all corners of the restaurant. Finally, the kitten that appeared in the grass made the big S burst into tears, and left the kitten very sadly, because the feelings were already very deep, but there was no way to take it away! Really sad! Edited by SHANCAI_XUXIYUAN, 04 February 2019 - 07:02 AM. 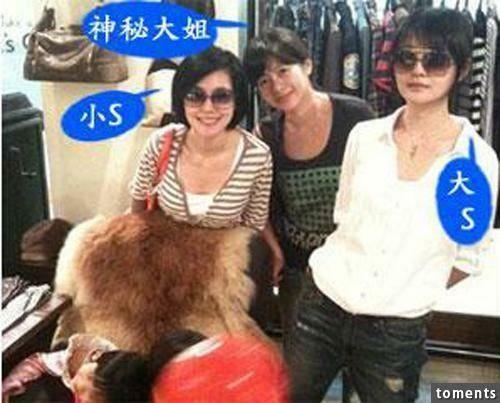 Big S hurts, Wang Xiaofei silently comforts, netizen: shoes are lost? 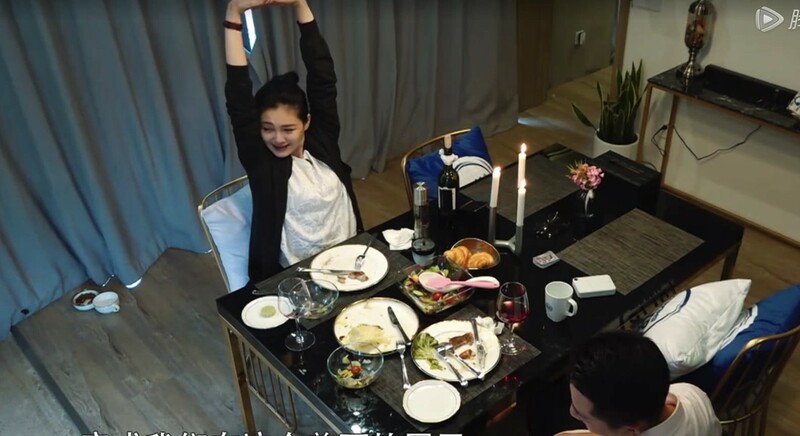 The couples of Da S and Wang Xiaofei have been widely discussed since the broadcast of the "Happiness Trio", and their private husband and wife life has once become the Eden of the audience's heart. And Wang Xiaofei also refreshed the impression of spending a lot of money in the eyes of the audience, becoming a pet slave. 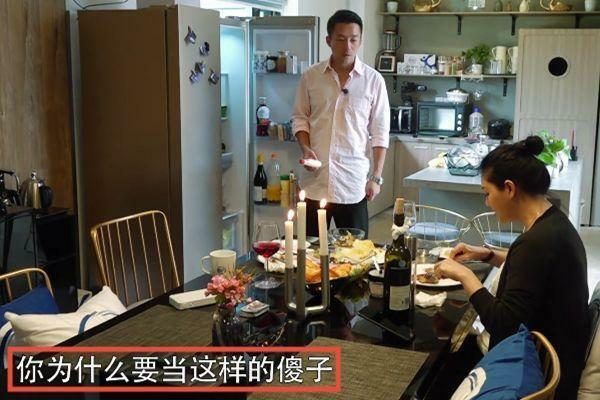 The incompetent husband Wang Xiaofei can only comfortably accompany her wife to comfort her. 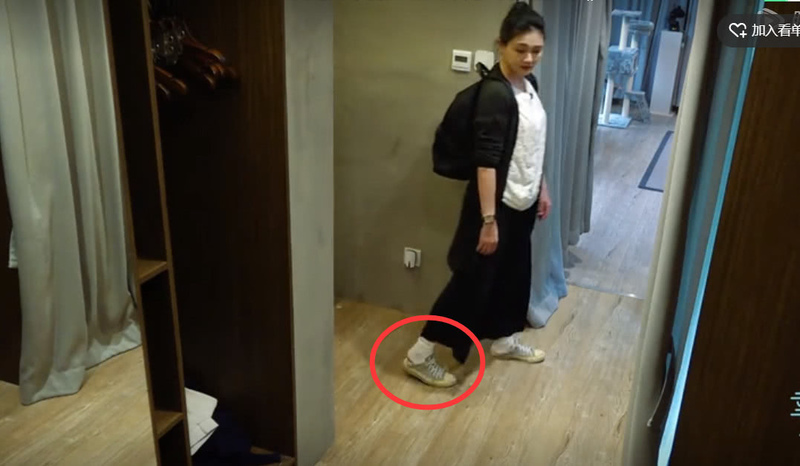 Attentive netizens found that the shoes worn on the feet when the big S was looking for a kitten became a bright spot. The original big S was wearing a shoe that was passed through the "Meteor Garden" in the "Meteor Garden" more than ten years ago when riding a bicycle. This move is really Full of emotions, there are beginnings and ends. The big S didn't wear it well but wore it like a pair of slippers. This move made the netizen praise the true nature! Edited by SHANCAI_XUXIYUAN, 10 February 2019 - 11:50 PM. Big S and Wang Xiaofei recorded the "Happiness Trio" together. In the program, we saw the side of the outsider Wang Xiaofei's true temperament. At the beginning, he would be somewhat cautious in facing the camera. Later, after familiarizing himself with the two neighbors, he completely released his own nature. Although Wang Xiaofei has a great love for Big S, he is also a straight man. He took the paper bag from Fuyuan's love. It is very natural to start with a bag and look at the straight male Wang Xiaofei backpack. It is funny but a little cute! In addition to not saying too much sweet words, Wang Xiaofei is not willing to let his wife worry about herself. When the kitchen knife accidentally scratched his hand, Wang Xiaofei also endured the pain and did not let the big S see. When the big S was unwilling to eat, Wang Xiaofei himself Hungry is not willing to let his wife go to cook for himself. 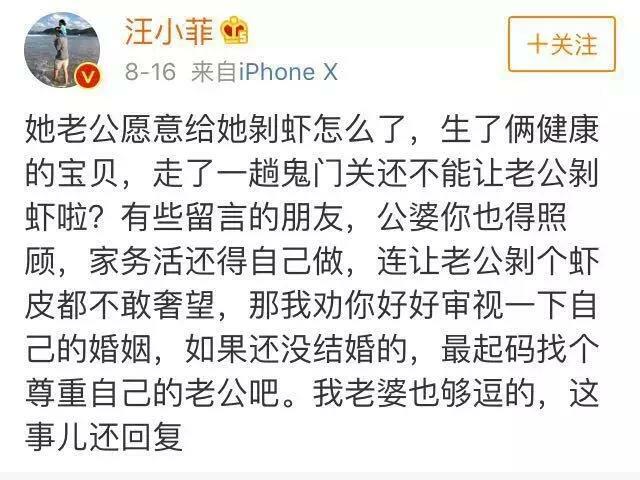 On Weibo, he is directly attacking the netizens of Shuangda S. It is also the "Happiness Trio" that let us see that Wang Xiaofei is also very man in life, very straight man. On the last day of the "Happiness Trio" recording place, Big S and Wang Xiaofei went to Fukuhara Aijiang Hongjie to say goodbye. The careful Fukuhara love also prepared a gift for S sister, with a larger paper bag, and Wang Xiaofei took over Fuyuan love. The paper bag in the hand directly put on a straight men's backpack. Wang Xiaofei didn't leave the paper bag, but used the paper bag as a shoulder bag. It was very natural to reach his shoulder. It seems that a lot of big S backpacks are available. Edited by SHANCAI_XUXIYUAN, 04 February 2019 - 07:06 AM. Big S Wang Xiaofei came to Fukuhara to say goodbye, Fukuhara loved a little action and won countless! So sweet! 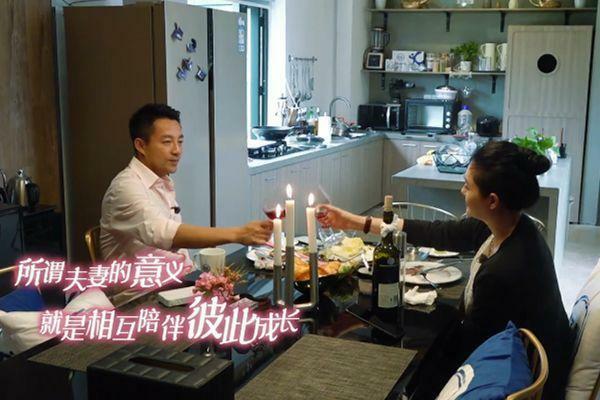 Big S and Wang Xiaofei went home after the recording of this program. 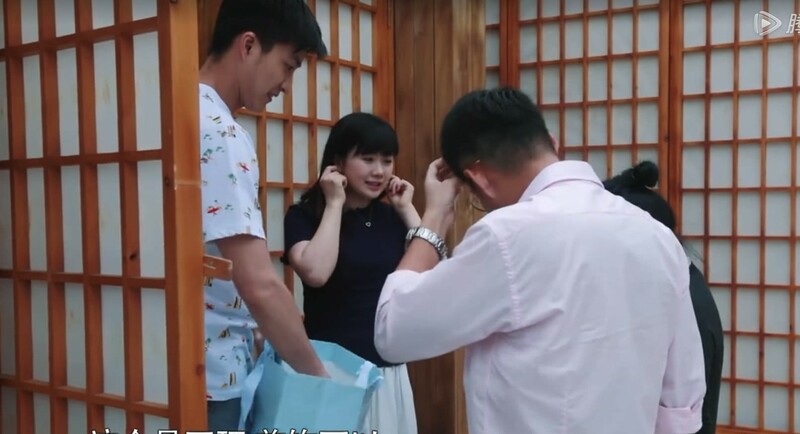 After Wang Xiaofei packed up his luggage, Big S took Wang Xiaofei’s hand and two people to say goodbye to Fukuhara Ai and Jiang Hongjie. My heart is really not. It’s so sad. 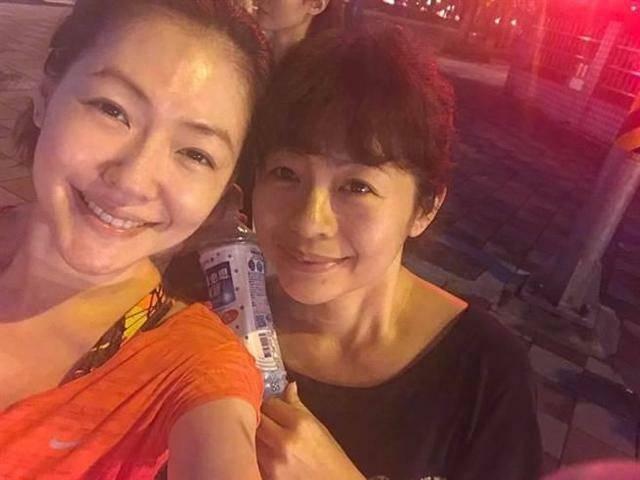 But fortunately, Fukuhara Ai and Jiang Hongjie also live in Taipei, so the two families can often see each other, especially the big S is very fond of Fukuhara love, I believe the relationship between the two families should be better. However, when the big S came to say goodbye, the intimate Fukuhara love had already prepared the gift, and returned to the room to take it all the way, which made the big S feel very embarrassed because he did not prepare a gift. And Fukuhara love is also very intimate to prepare a small S, one for the big S, because I have not found satisfaction, so I did not give Wang Xiaofei a gift and a face of apology, really cute. Edited by SHANCAI_XUXIYUAN, 10 February 2019 - 11:52 PM. [Dong Zhang Xiwang] Later, we became a big S, or Jiang Qinqin? "Why are you mimicking Harry Potter?" "How do I imitate him? I (wearing glasses) is really myopia, he is a fake myopia." "He is so good at magic, why not treat himself?" 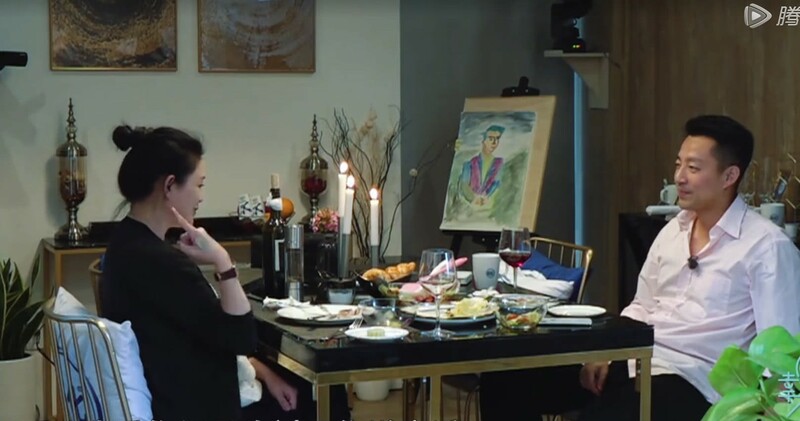 This kind of flirtatious daily life comes from the home conversation between Da S and Wang Xiaofei in the variety show "Happiness Trio". It’s so funny that the big S of the girl’s heart was overwhelmed by the overbearing president Wang Xiaofei’s straight man. The first stage of the three-person couple's trivial reality show "Happiness Trio" just came to an end. The girls especially felt: Later, we have become a big s, or Jiang Qinqin? In fact, all variety shows have a program effect, and we all understand this. There are all kinds of emotions because we are too deeply involved. No life is perfect. 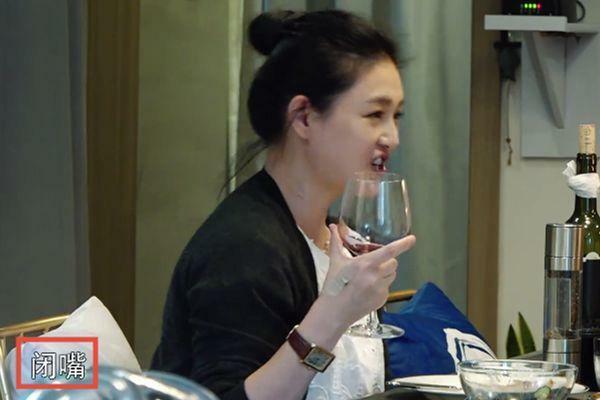 When we envied the 42-year-old S and became a girl, Wang Xiaofei’s response let us see the other side: I have two healthy babies, and I can’t let my husband peel the shrimp after walking the gate. Big S mentioned in the program that his two births were filled with oxygen cylinders into the delivery room. Although the big S is like a beautiful woman, she is actually one of the most real female stars I have ever seen. Some female celebrities are pregnant and have children feel that they are "like having a fake child." They are beautiful and slim and delicate, and they give birth to their children. When the big S is sometimes blessed, he feels “slim”. Compared with the female stars who say that they “have no secrets but just drink more water”, she is not afraid to share various weight loss massage products. I don’t eat anything.” I will let Wang Xiaofei “give me another bowl” for a while... This is the hard way to fight against gravity, not give up and not reconciled! As long as you believe, the world of Harry Potter's Quidditch and Flying Broom exists. After reading their imperfect life, I found that "every pair is the happiness I yearn for." Edited by SHANCAI_XUXIYUAN, 10 February 2019 - 11:58 PM. Northerner Wang Xiaofei, Battle Southern People's University S Scorpion dumplings, sweet or salty, who are you standing? "Happiness Trio" ended on September 5, and the last episode of Wang Xiaofei and Da S began the battle between the northerners and the southerners. This time they started the battle for the cooking order. Big S said that he would cut it first, but Wang Xiaofei insisted on cutting it first. Wang Xiaofei: The lo mei is a big lo mei. When you eat it, cut it again. How do you cut it? Wang Xiaofei: Vegetable radish is cut, this is a large piece of halogen. In the face of uncompromising Wang Chef, Big S was helpless and said that the concept was not the same. "He was a little dizzy and wanted to go to sleep." These two people are not the first time to disagree on the issue of eating. 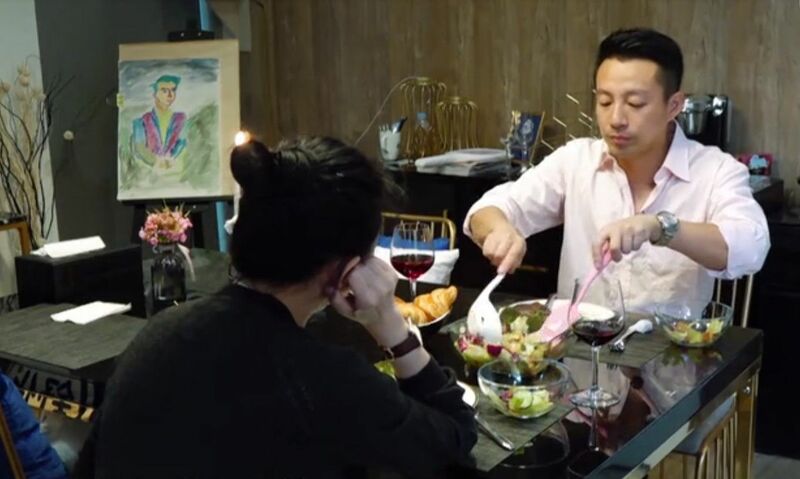 The husband and wife had started to discuss the sweet and salty scorpion when they were eating, but the big s loved the salty scorpion Wang Xiaofei but it was difficult to accept. Wang Xiaofei said that it is difficult to understand the oil in the salty scorpion. How do many people eat it? After listening to the big s, the salty scorpion is very delicious. It can put mushrooms, egg yolks, scallops and peanuts inside. After the big s, it seems to think of what delicious food is generally shaking his head and expressing praise, and calling "super delicious." The lens gave Wang Xiaofei's face close-up. It can be found that Wang Xiaofei's expression is full of pain. It is estimated that there was a "nightmare" that had been dominated by salty scorpions. It was quite resistant to salty scorpions. Big S also said that the sweet and sour rice balls can be eaten, Wang Xiaofei also expressed admire, he can only eat sweet dumplings. Edited by SHANCAI_XUXIYUAN, 11 February 2019 - 12:02 AM. This summer, the friends circle of August 8 was screened by "Happiness Trio". 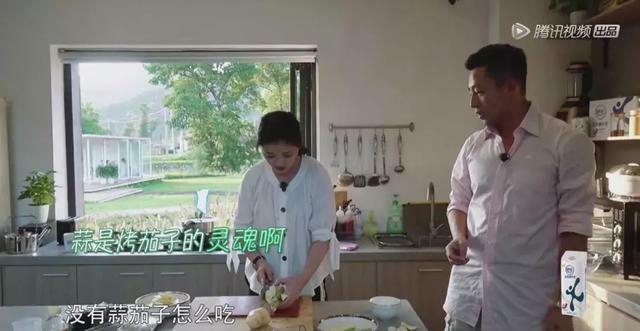 Whether it is the "shrimp-shrimp theory" of the big s or the mode of getting along with Chen Jianbin's Jiang Qinqin, it has triggered a heated discussion about the people who eat melons. Eighty-eighth also wrote about how these couples get along. On the watercress, the score of this variety has reached 7.6, which is considered to be the leader of the summer vacation. Edited by SHANCAI_XUXIYUAN, 29 January 2019 - 05:10 AM. Although some netizens questioned, is there a script? Before the big s said that he loves to peel the shrimp to give people to eat, how suddenly it becomes a man who does not peel the shrimp and does not eat it! Eighty-eight special pursuit of several "Happiness Trio" found that the performance of the three pairs of guests may be embarrassing, but the effect is more real life and character, is three distinct marriage stages and ways of getting along. Like Big S and Wang Xiaofei, it is a combination of Ghost Horse Girl and Beijing Man. Dead children s often have whimsy, such as when making garlic aubergine, the big s cut the eggplant into small pieces. what? Is the garlic eggplant not the two-half eggplant sandwiched with minced garlic? Big s: You can take a bite of eggplant and garlic! Meow meow meow? Seems to be very reasonable? Seeing the fly fly, the brain's oversized big s can pull out a set of theories: You see, you are wearing a bee! Originally thought that Wang Xiaofei was a pure straight man, I didn’t expect his mouth to be very sweet, and the fancy wife would not lose, and he would also play the hegemony from time to time. Edited by SHANCAI_XUXIYUAN, 29 January 2019 - 07:22 AM.